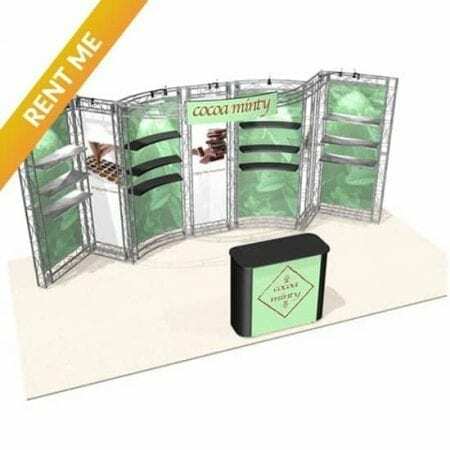 Looking for Affordable Exhibit Rentals in Las Vegas, Los Angeles, San Francisco, Orlando or Chicago? 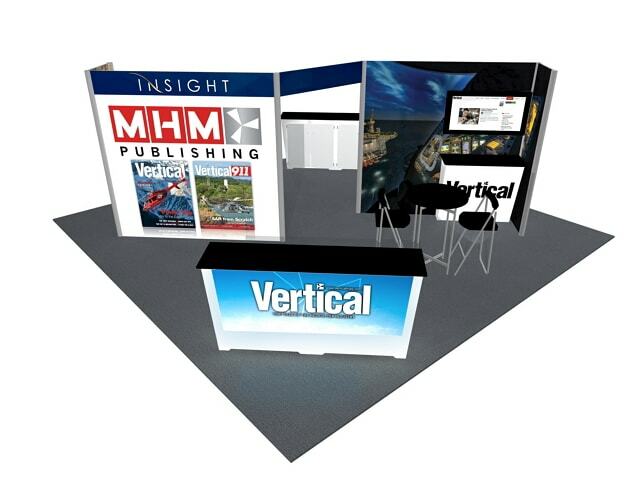 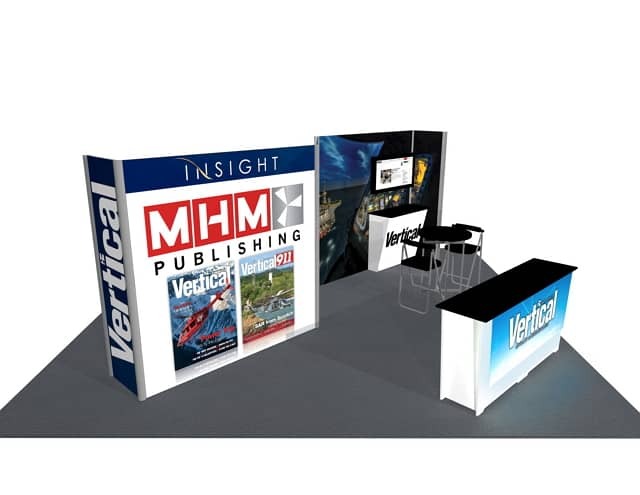 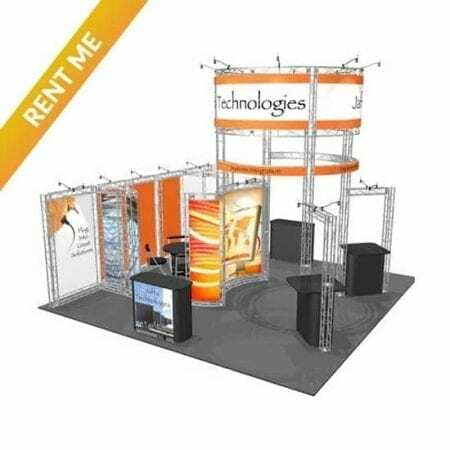 Book your Exhibit Rental TODAY! 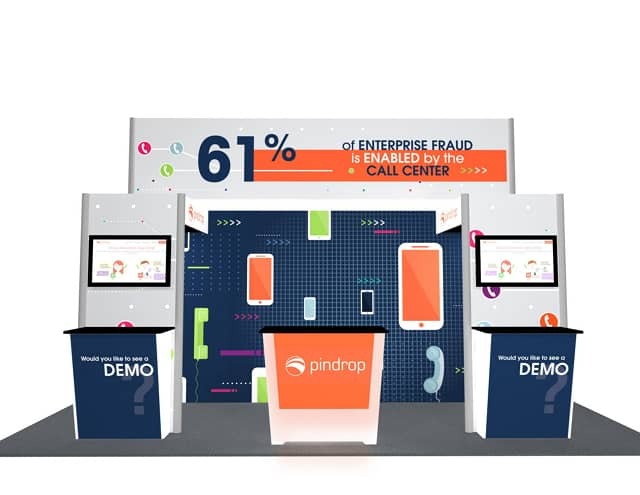 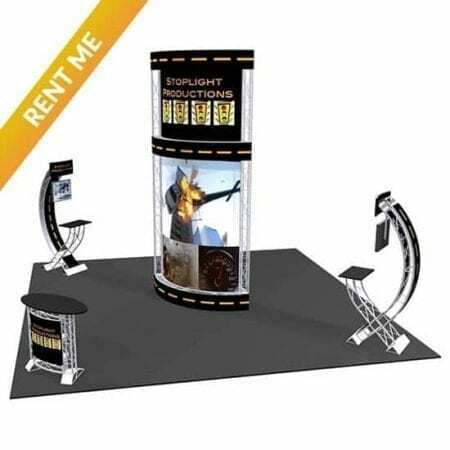 Our exhibit rental experts can answer any of your questions. 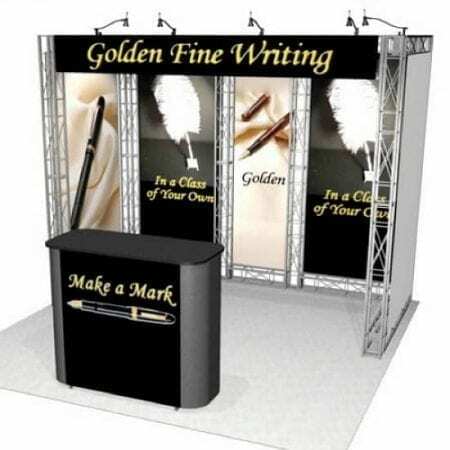 They will assist you every step of the way to make sure you are 100% satisfied. 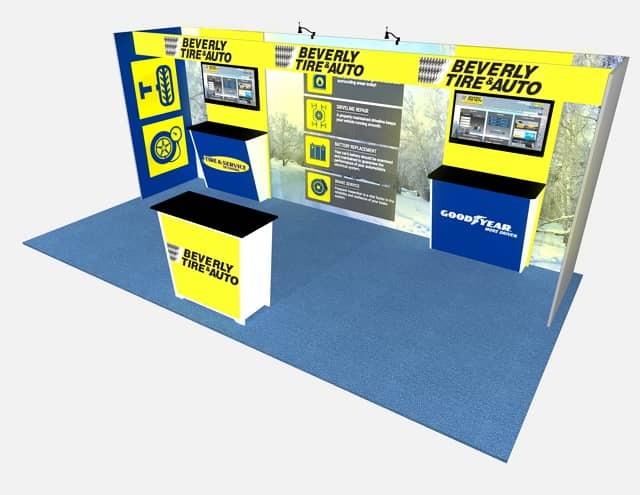 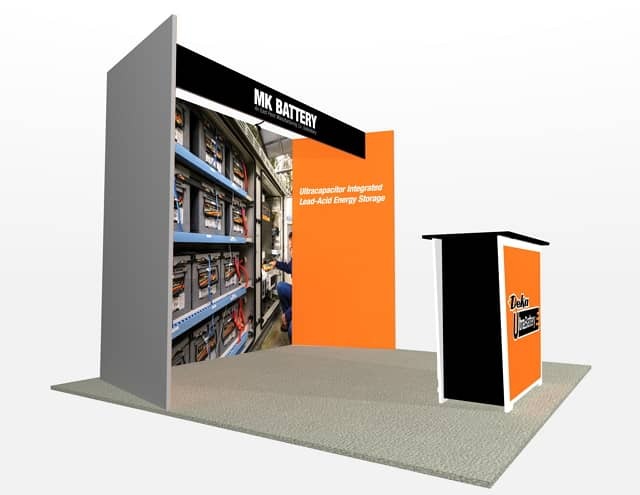 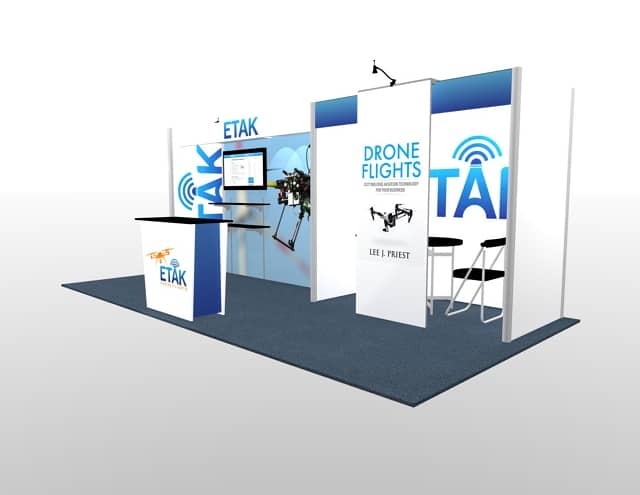 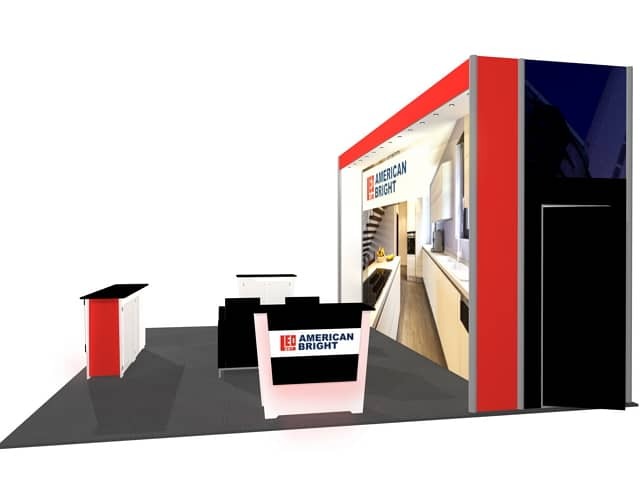 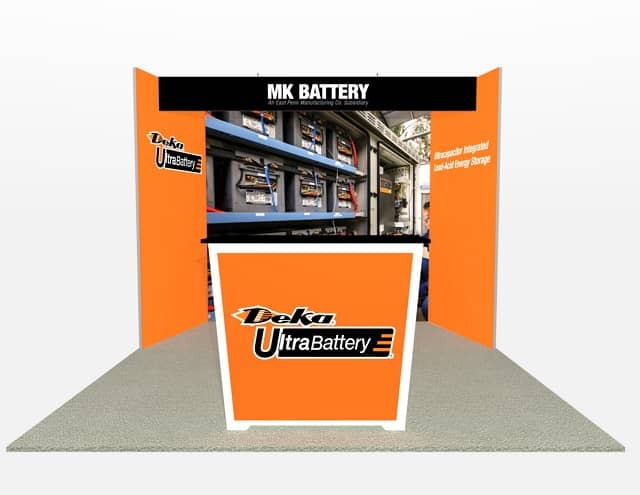 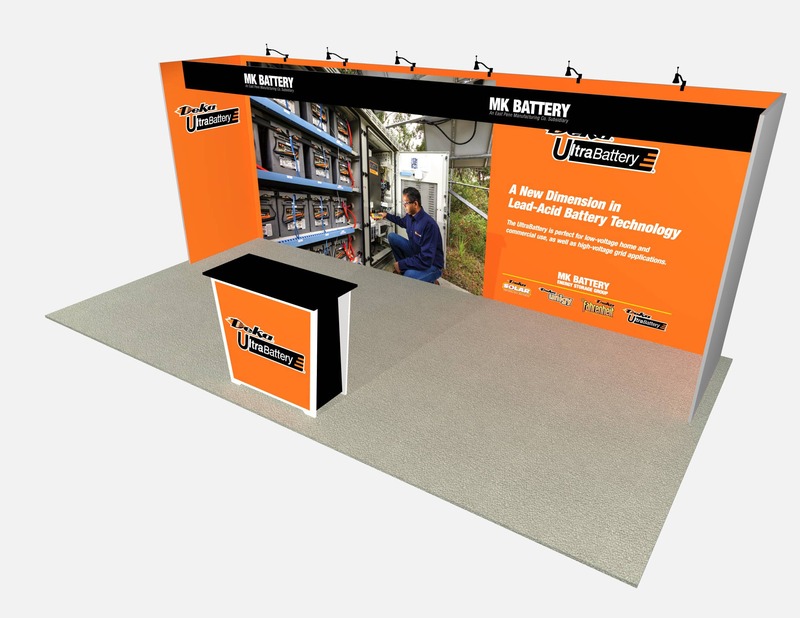 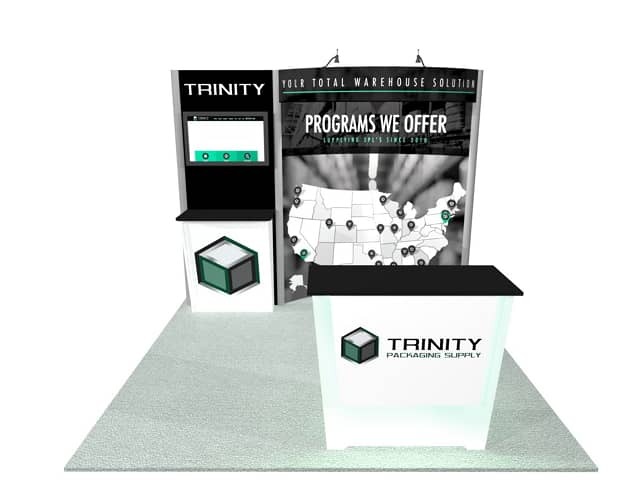 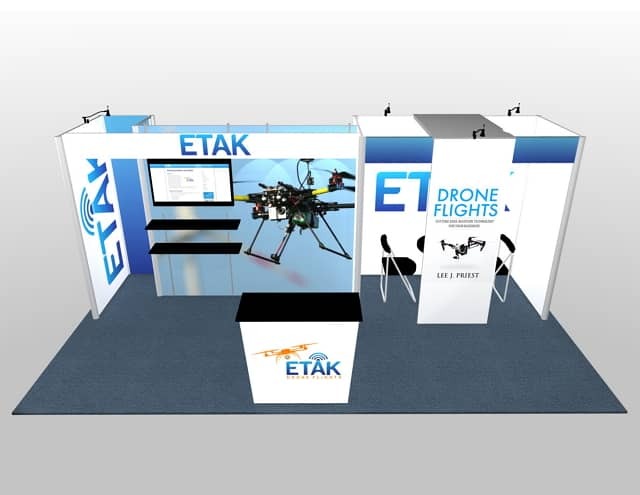 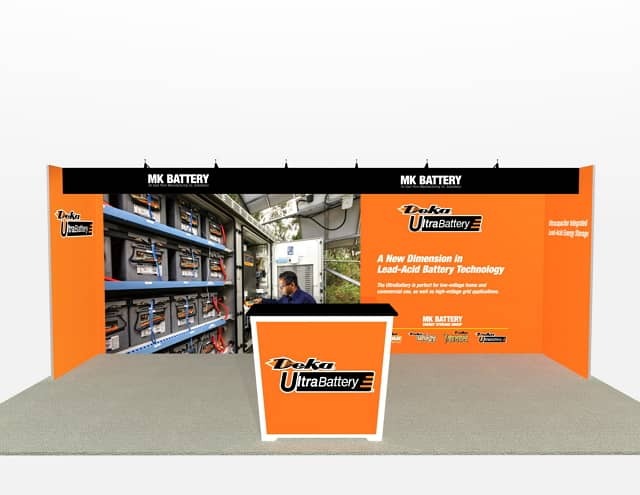 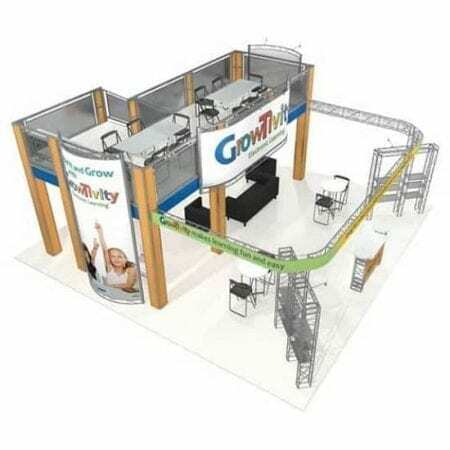 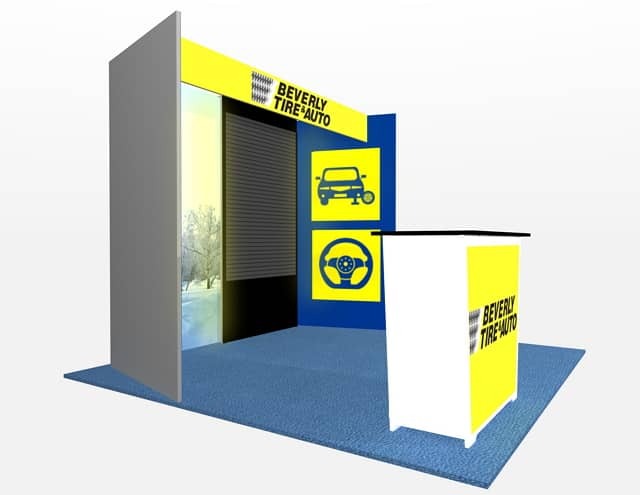 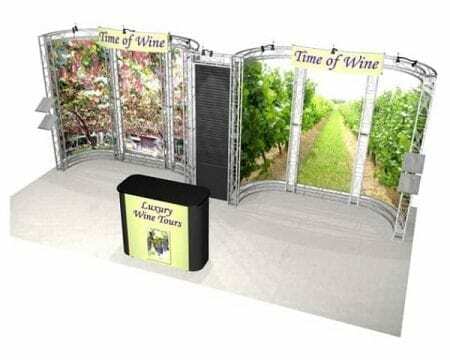 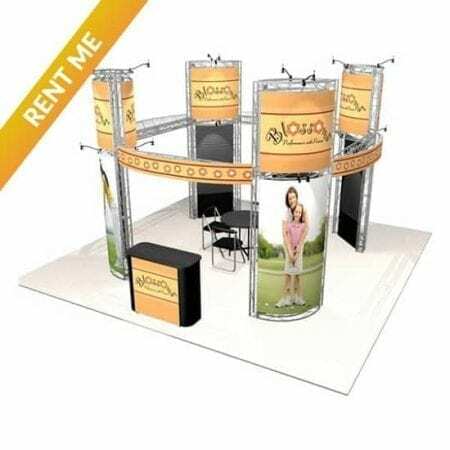 Our turnkey exhibit rentals take the stress out of trade shows! 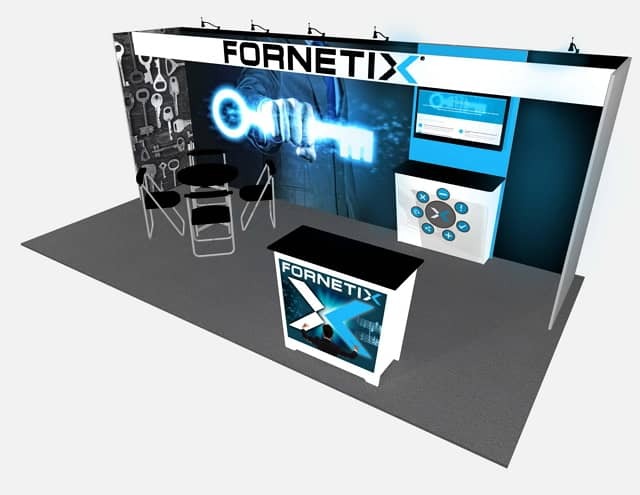 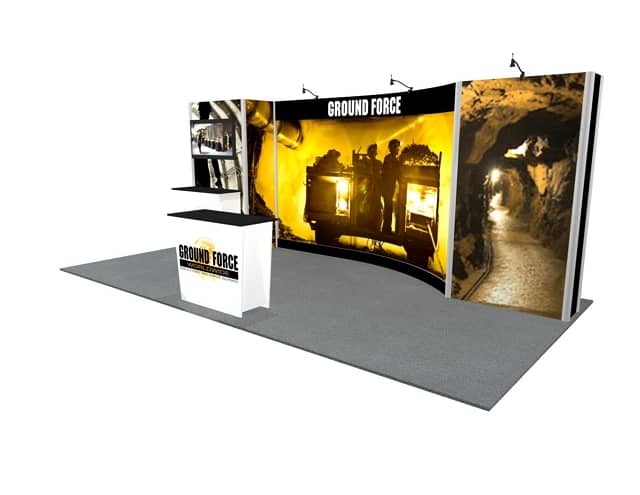 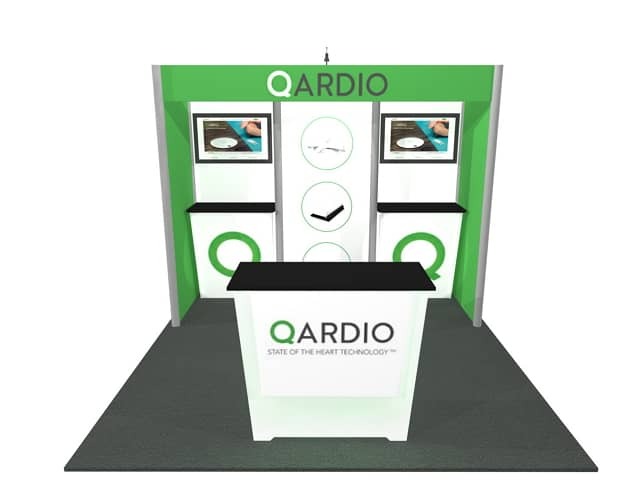 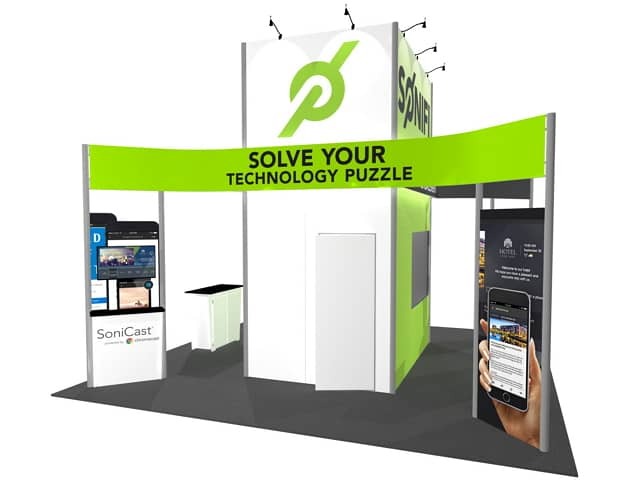 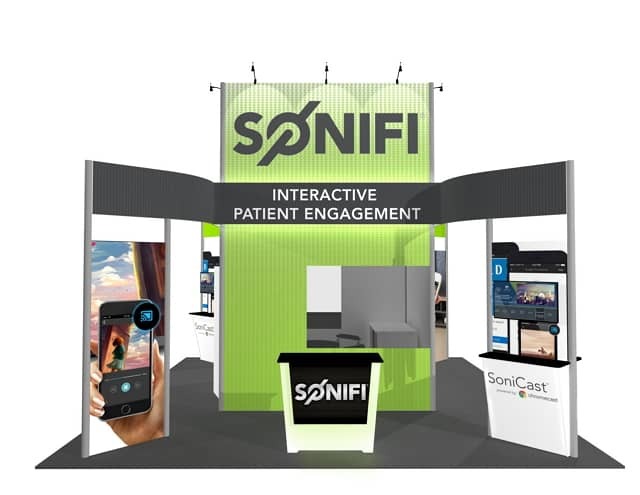 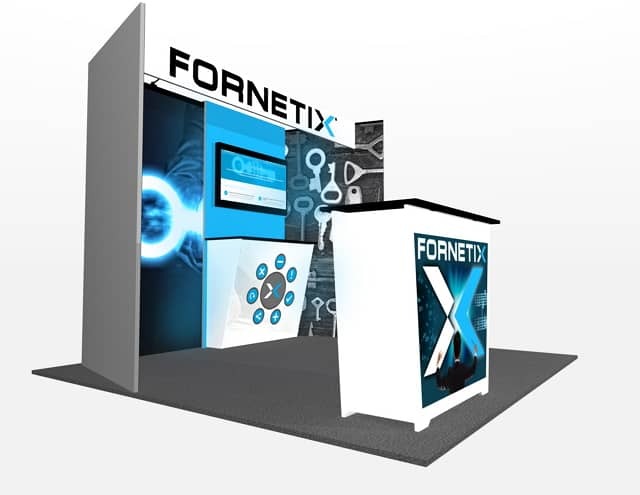 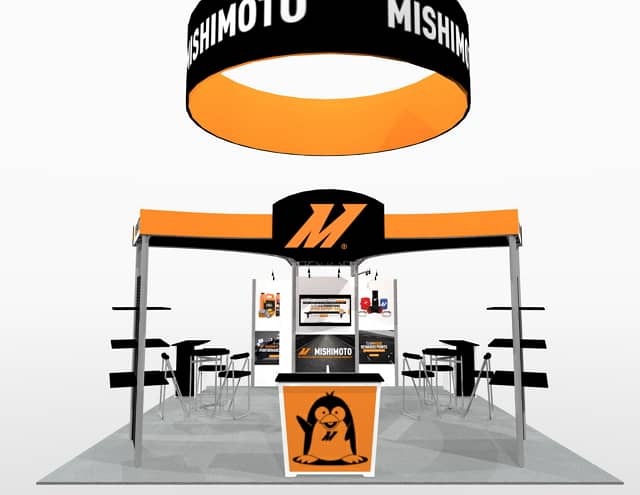 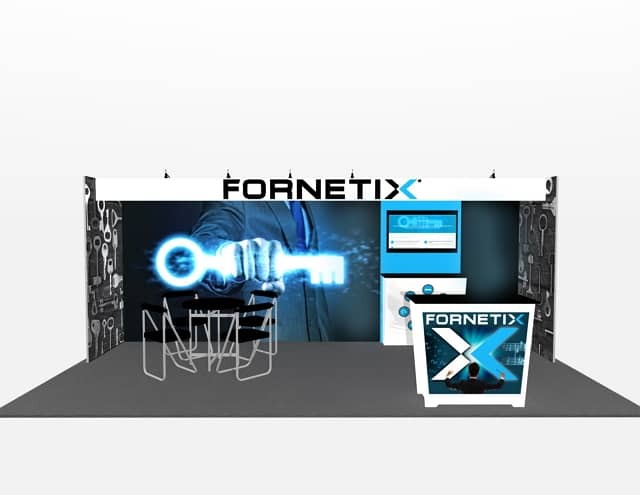 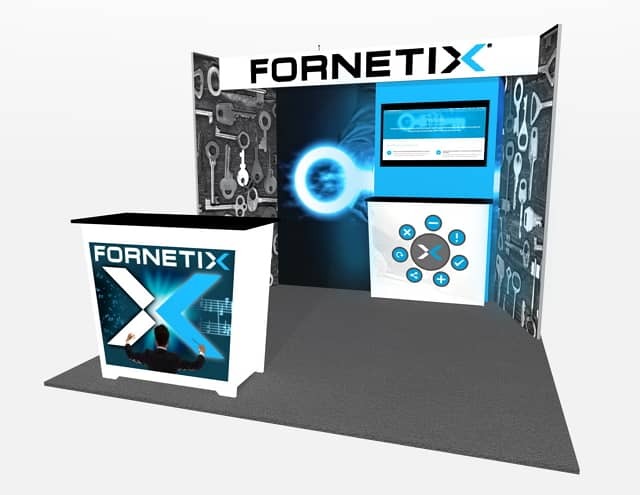 We will work hand in hand with your organization to make sure that your exhibit is setup quickly and efficiently allowing you the time and energy to focus on your exhibit goals. 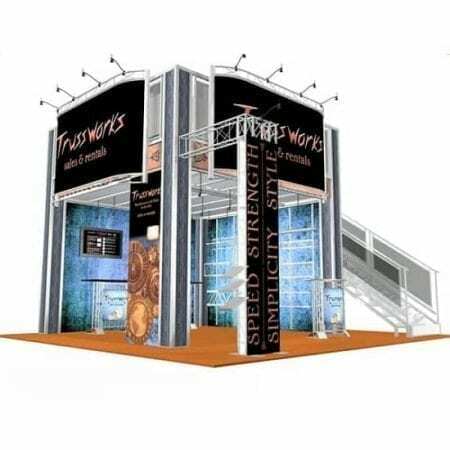 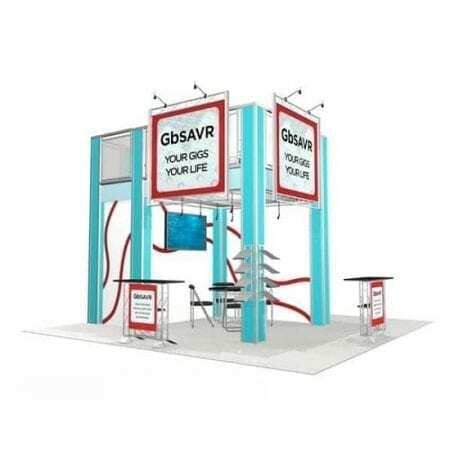 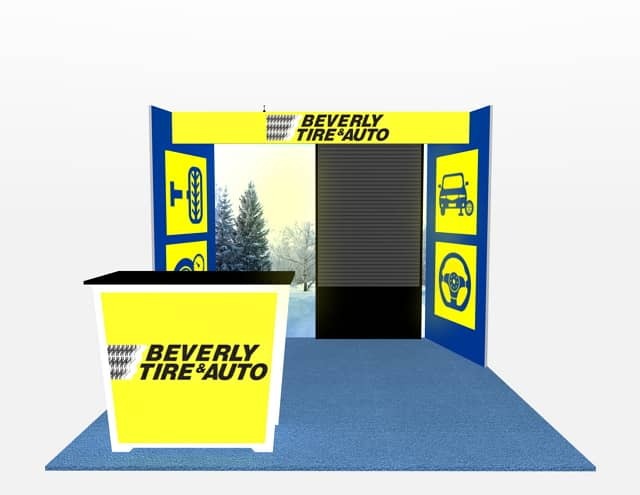 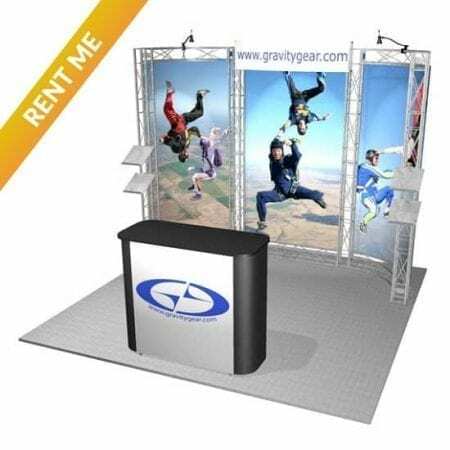 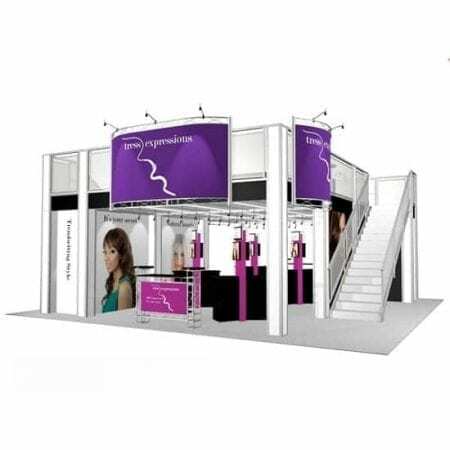 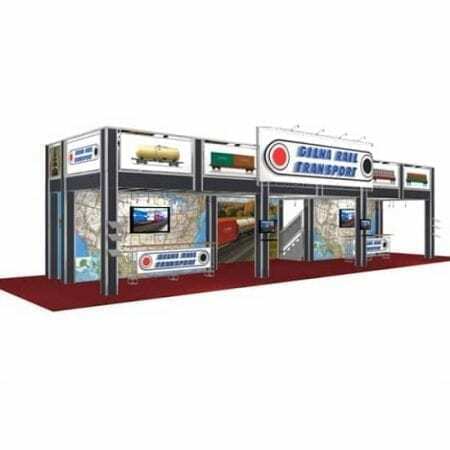 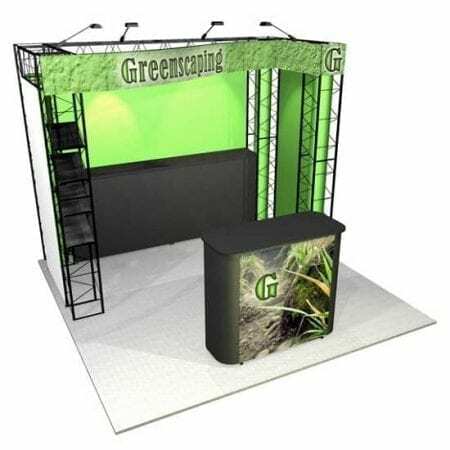 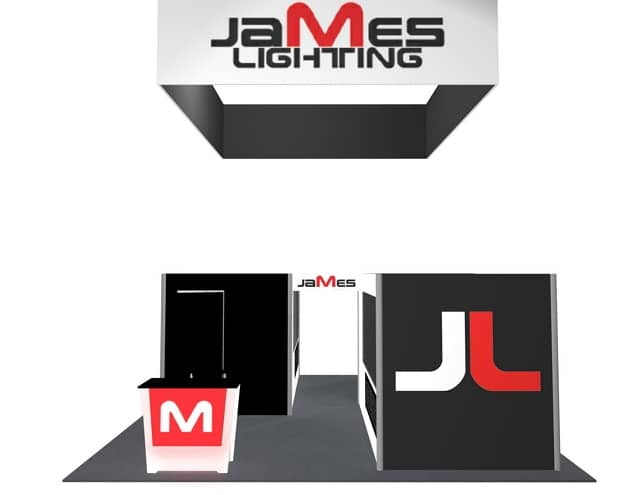 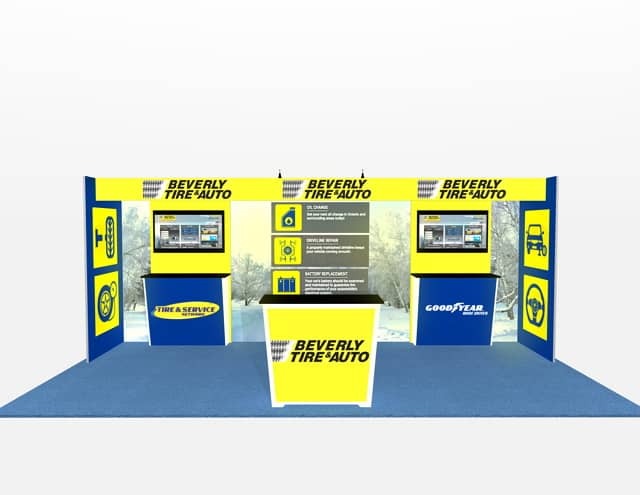 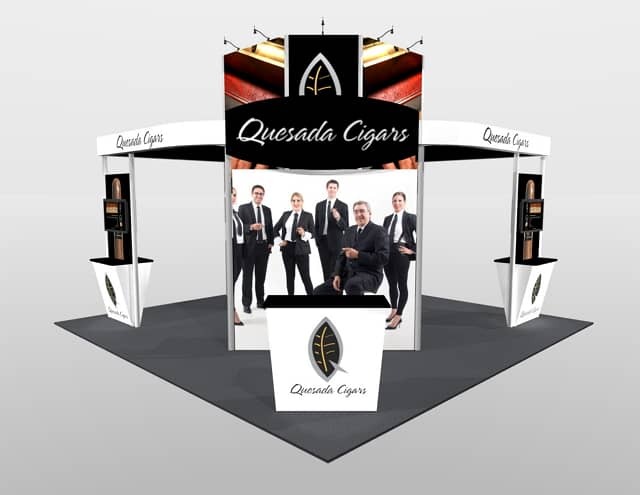 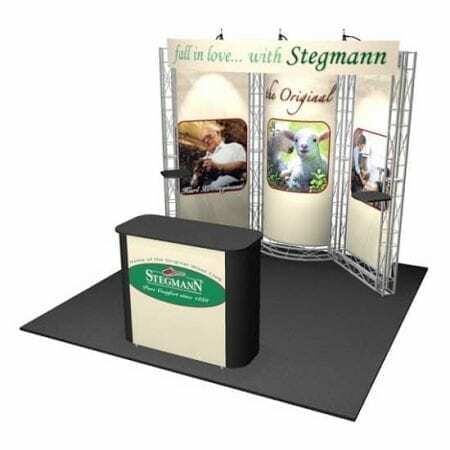 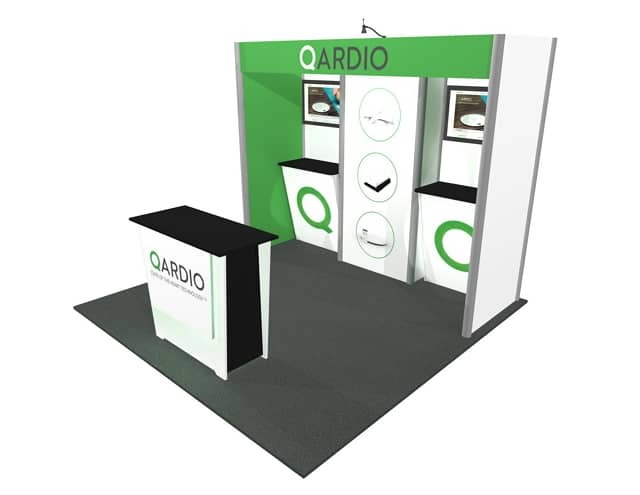 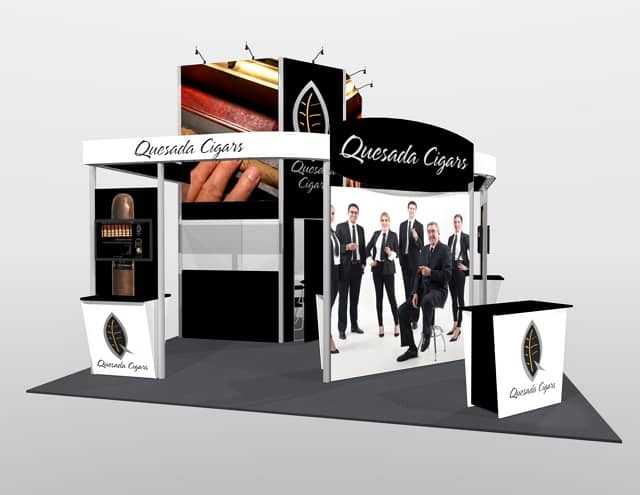 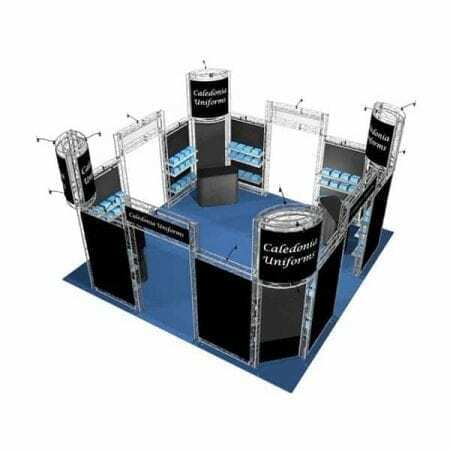 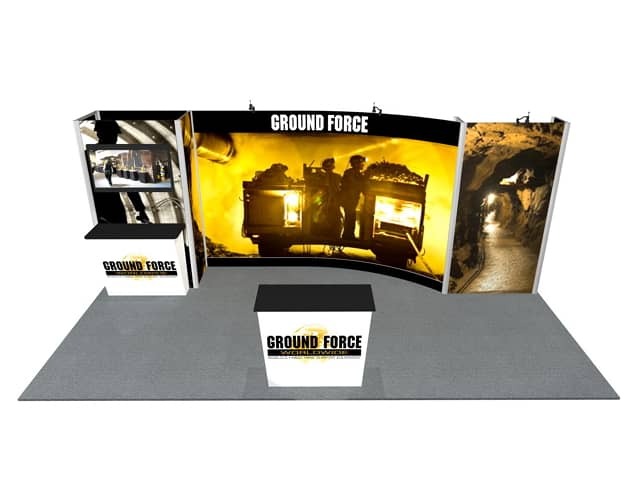 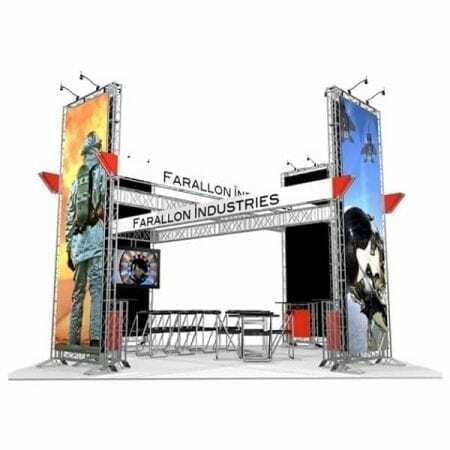 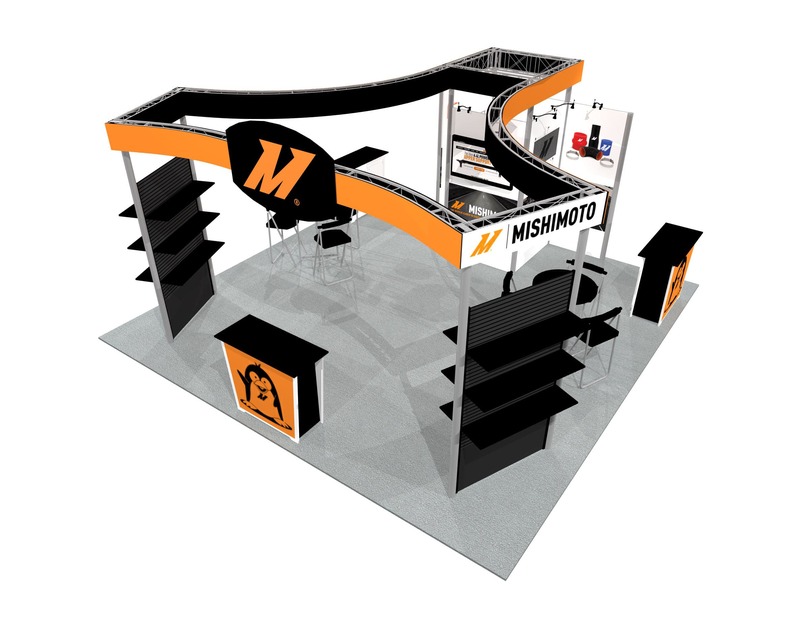 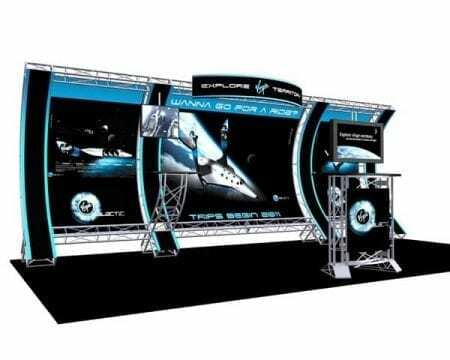 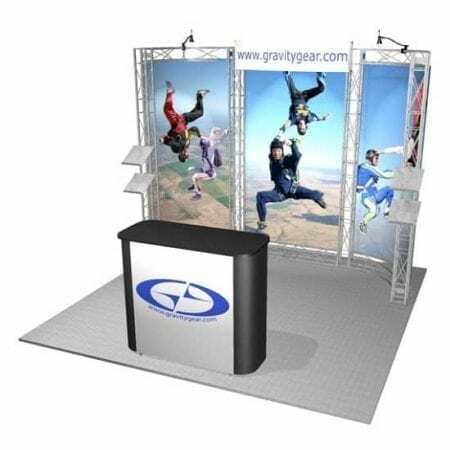 We also provide graphic production, furniture rental, and many of the other accessories you may need to complete your trade show display. 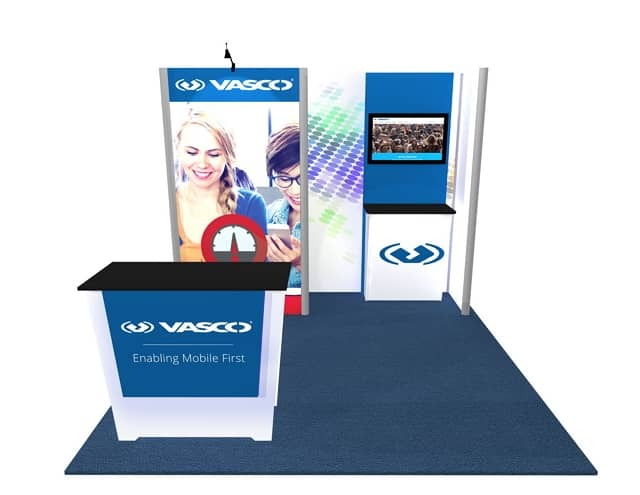 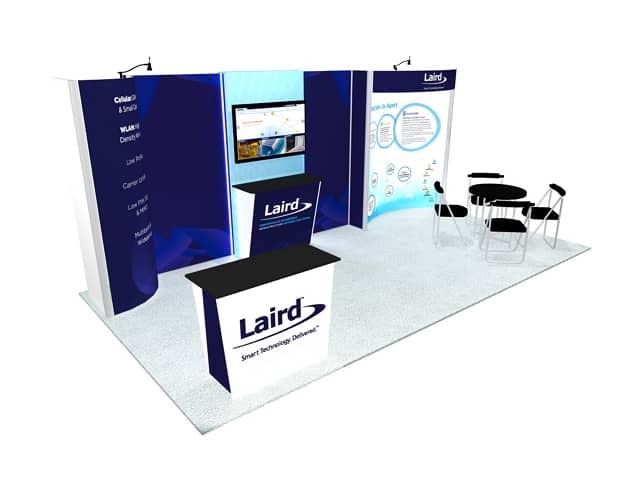 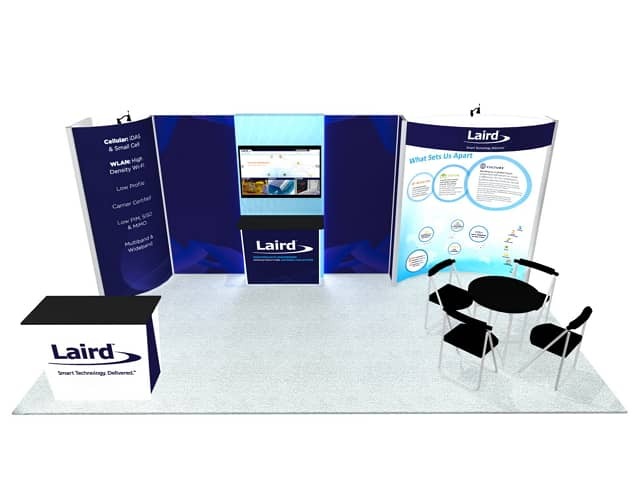 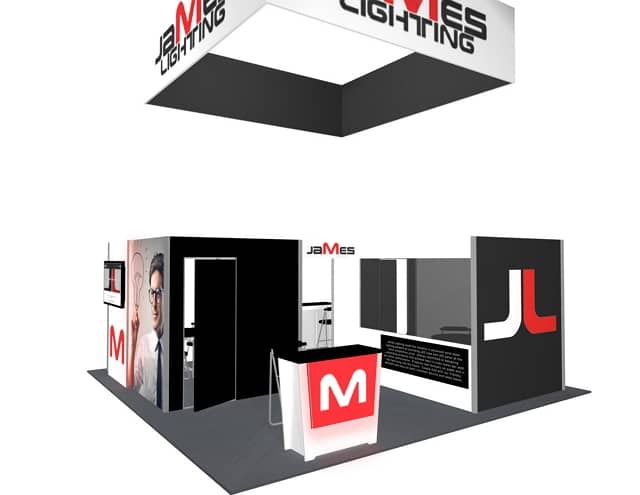 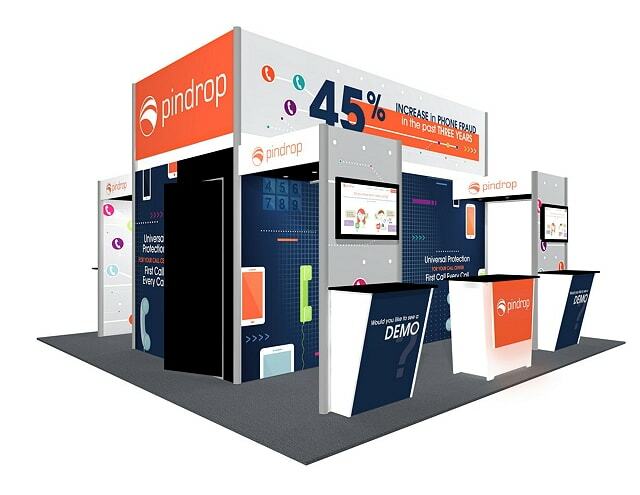 For MWCA 2017 at Moscone Convention Center in San Francisco, Global Technology client LairdTech asked us to customize our “WHITE GLOVE” RENTAL KIT to integrate custom product displays and to match a 23’wide x 10′ high size requirement. 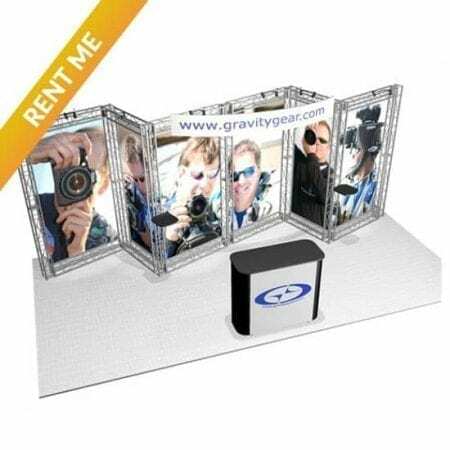 FLAT-FEE RENTAL in Las Vegas, San Francisco, Los Angeles, Anaheim, Chicago and Orlando includes exhibit rental, graphic printing, shipping and Labor. 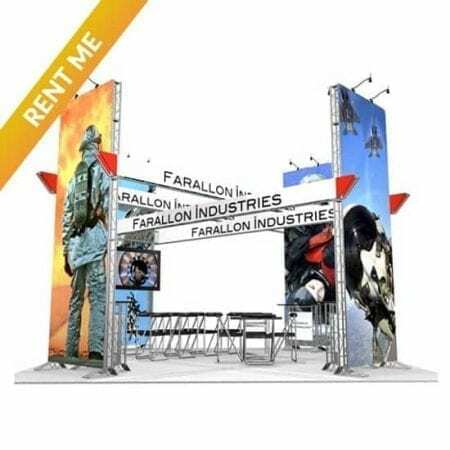 Excludes material handling, electrical, rigging, and other services. 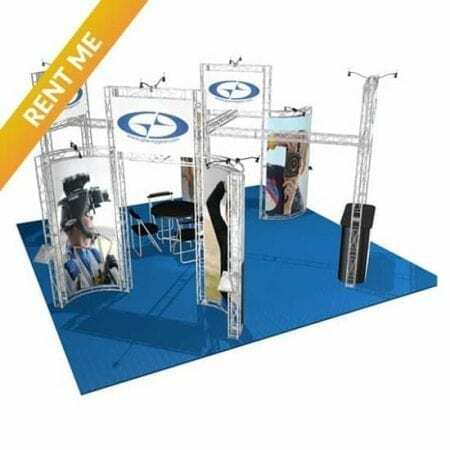 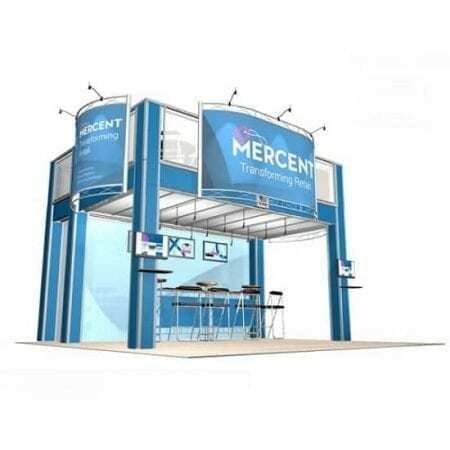 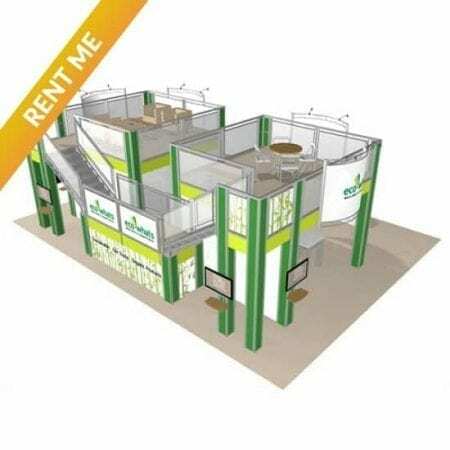 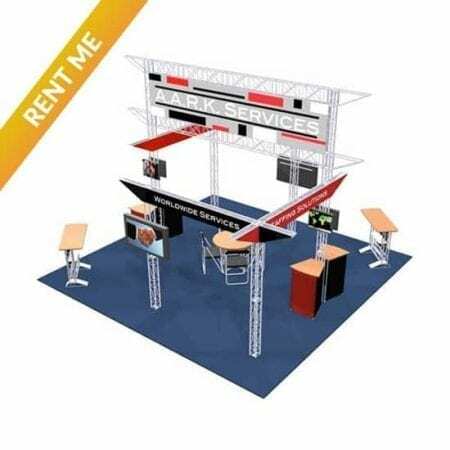 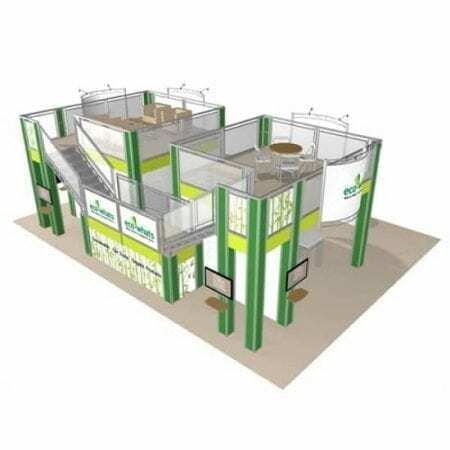 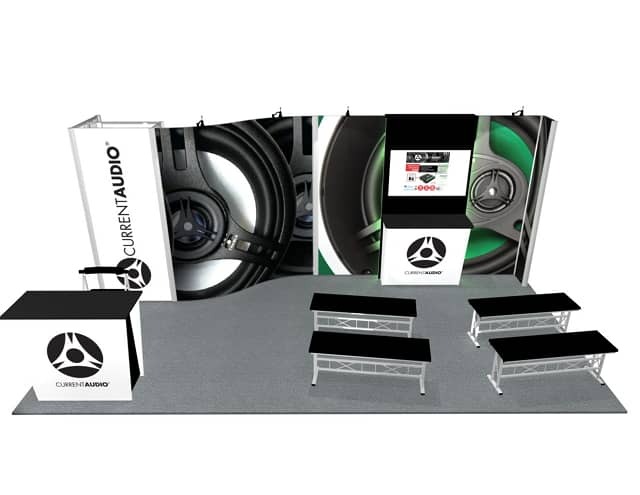 RENT WITH CONFIDENCE AND PEACE OF MIND: our expert local team will assist you every step of the way from choosing the right booth to designing it to install it. 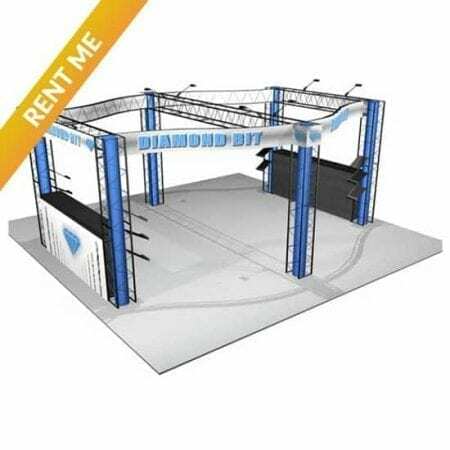 INSTALLATION AND LABOR INCLUDED: local crew as well as Union-approved labor will be supervised by experienced team leaders so you can relax. 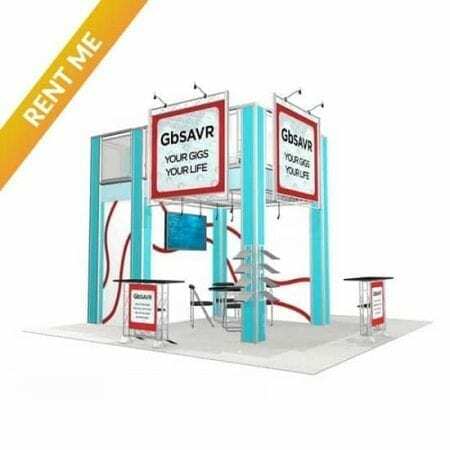 GUARANTEED ON-TIME SHIPPING INCLUDED: we will pack your exhibit rental in wooden crates and ship it along with your custom printed panels to Advanced Warehouse. 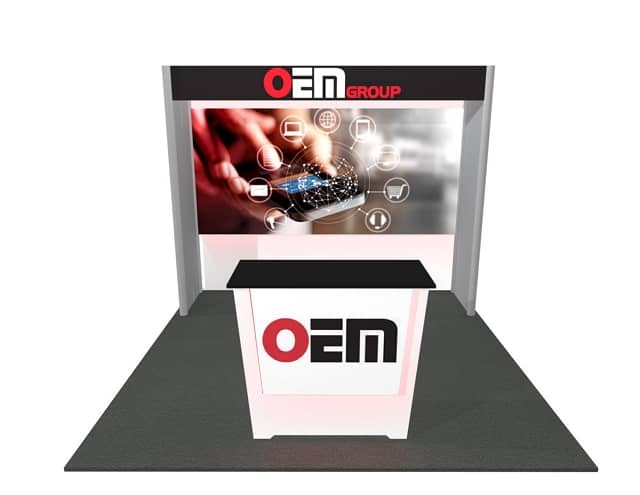 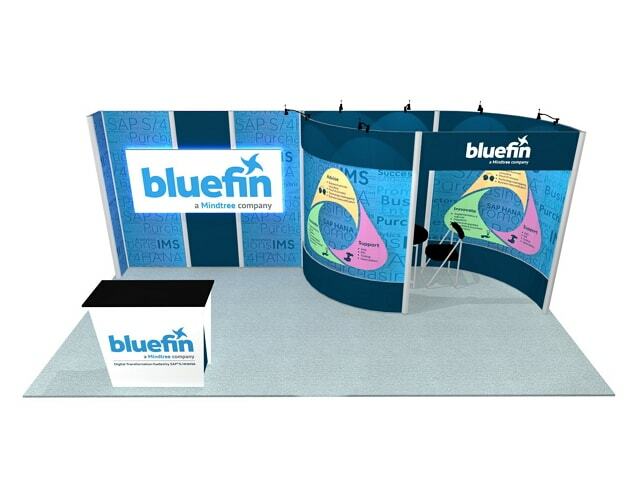 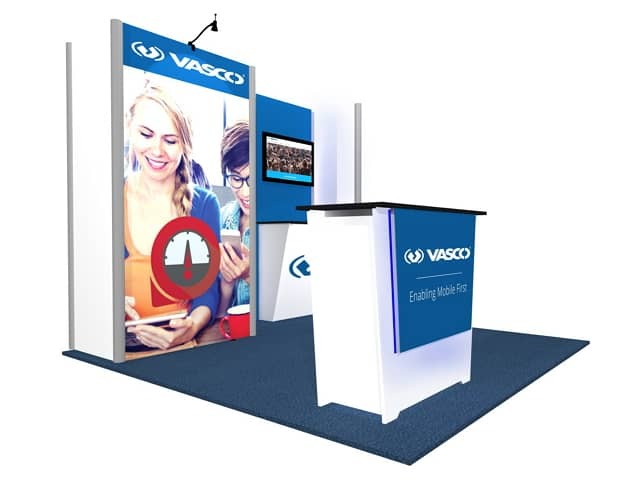 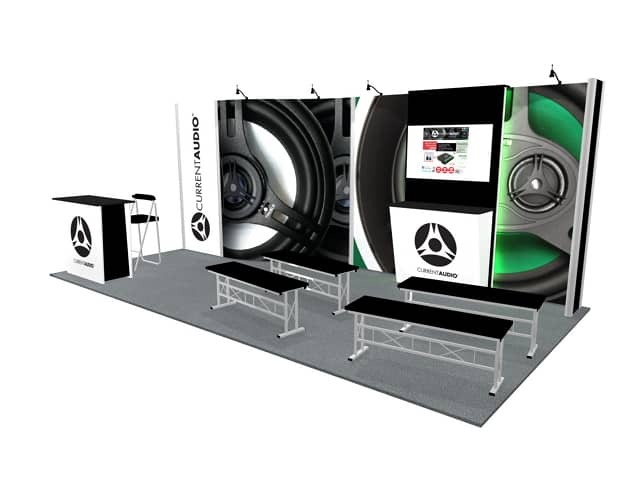 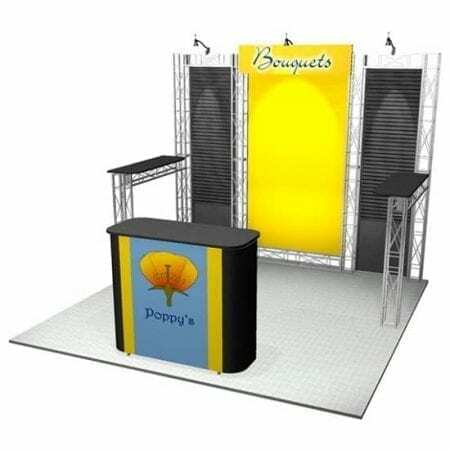 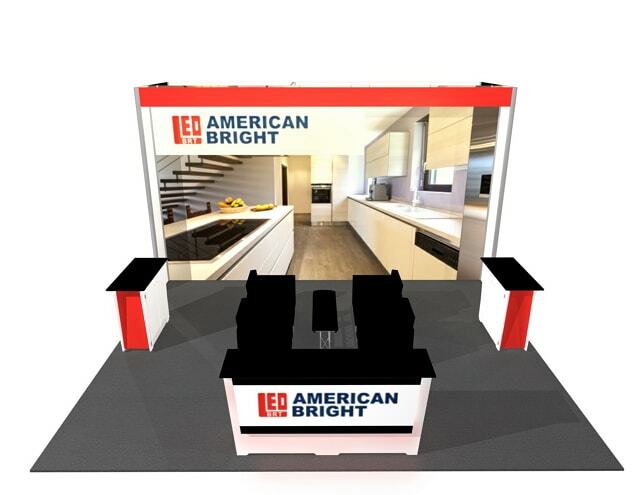 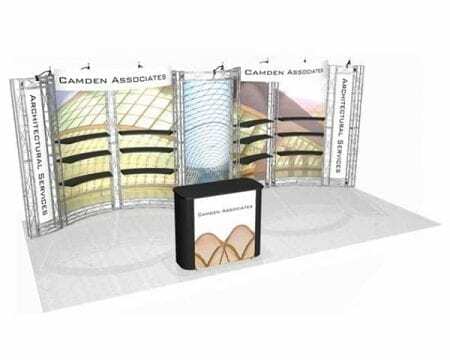 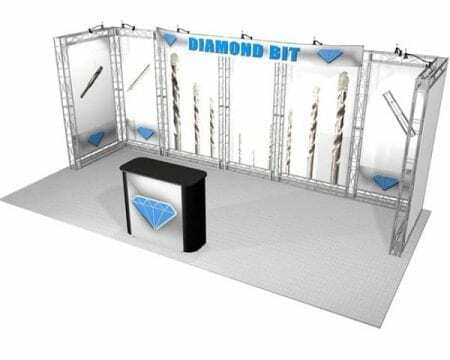 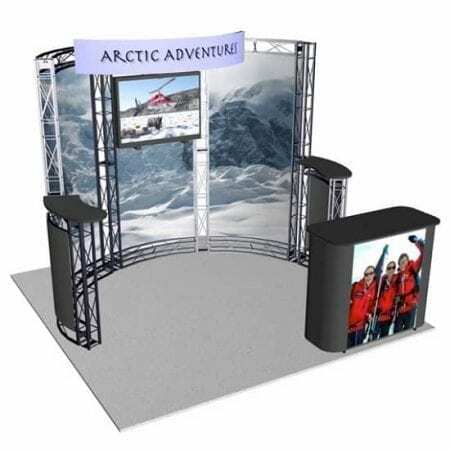 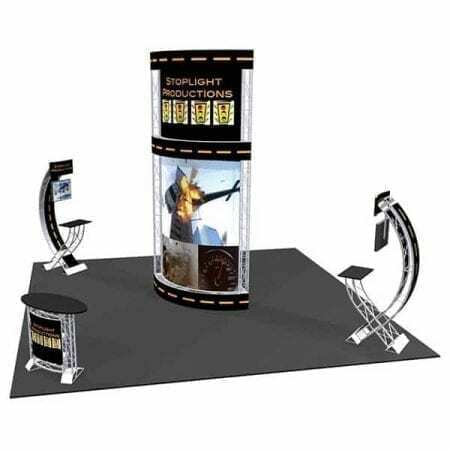 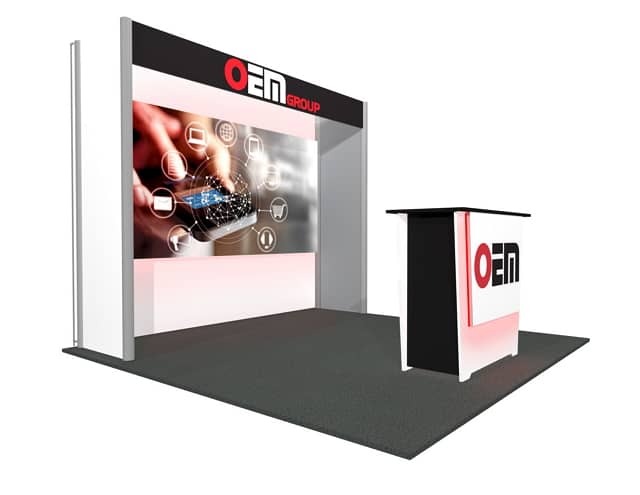 NEW 2017 Beautiful trade show kits: in addition to our standard line of truss exhibit rentals we are now offering our aluminum frame system with rigid graphic panels with optional LED edge-lit wall or counter effect. 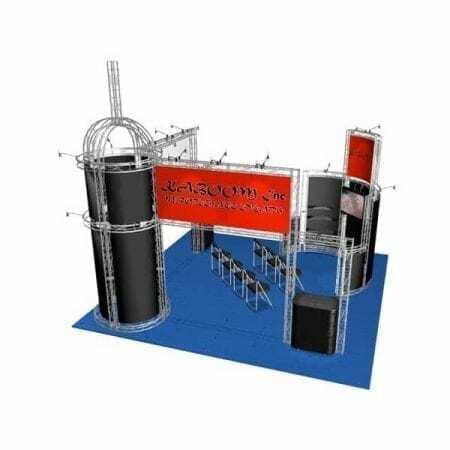 3D RENDERING and customization: we will work closely with your design team or provide Graphic services and 3D rendering for your approval. 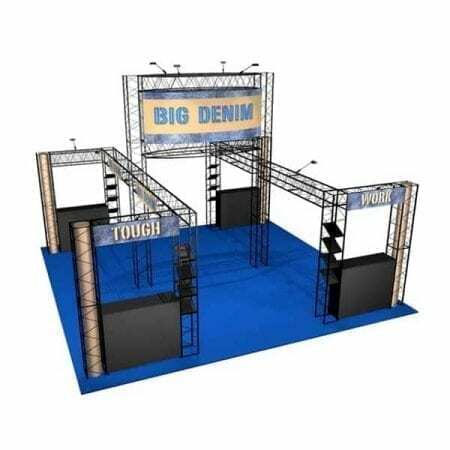 There’s something you don’t see, ask us about customizing. 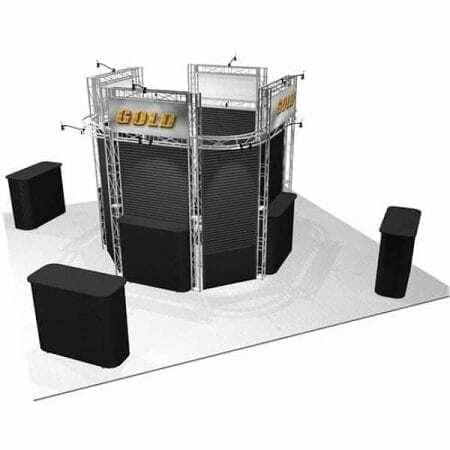 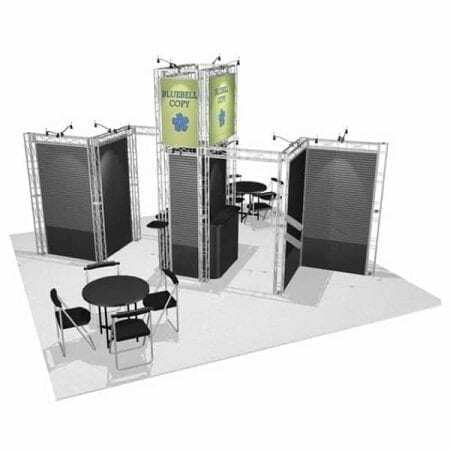 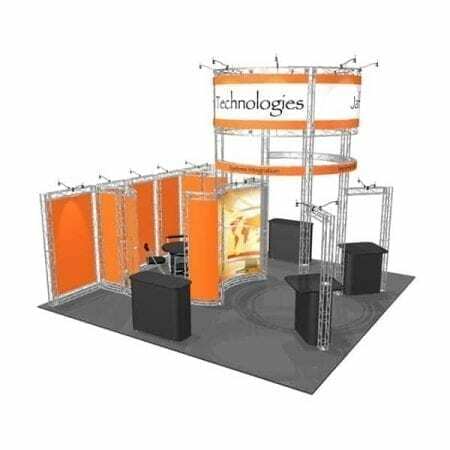 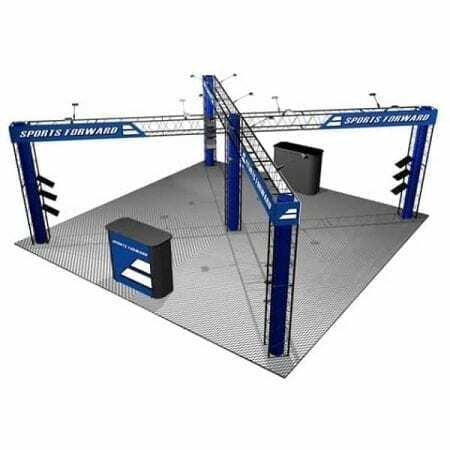 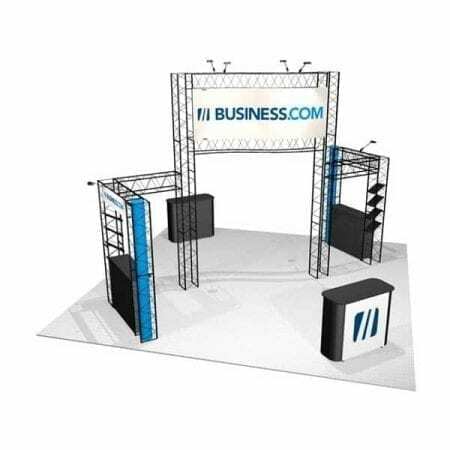 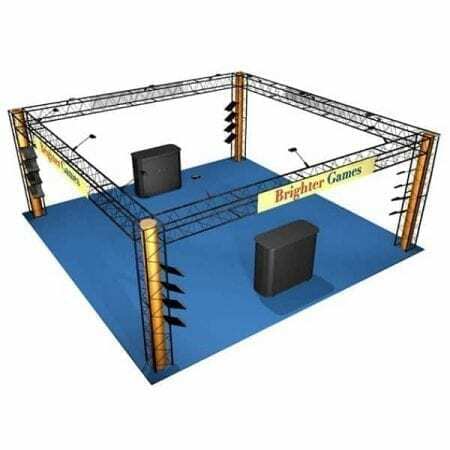 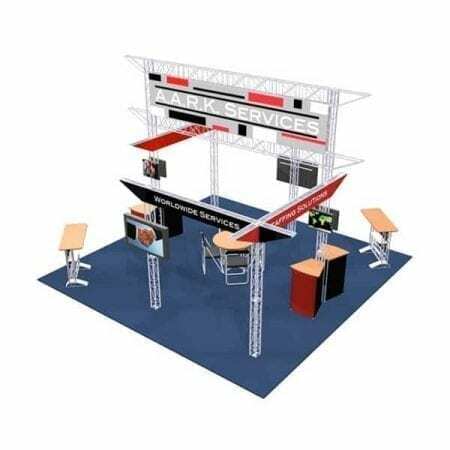 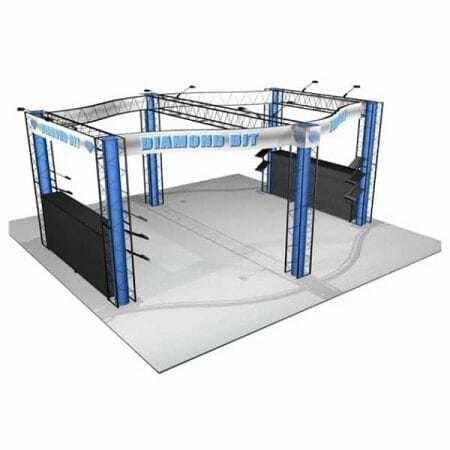 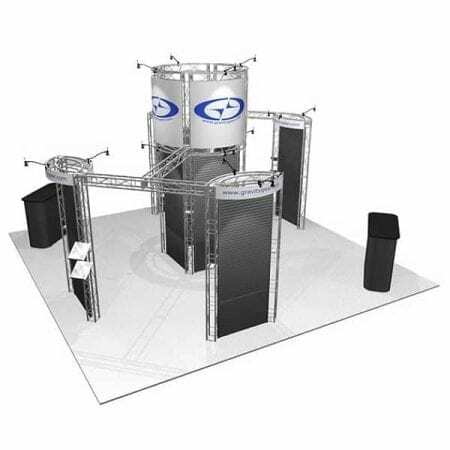 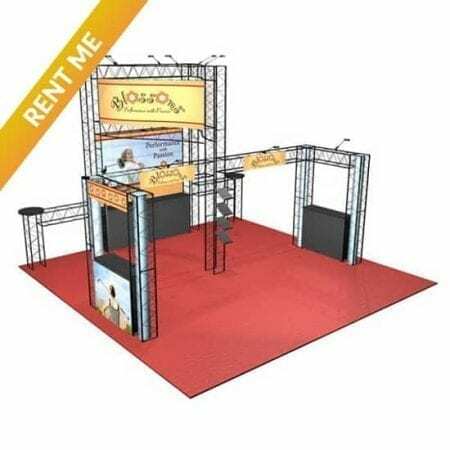 Our Truss Exhibit Systems are available as a FULL SERVICE Rental solution. 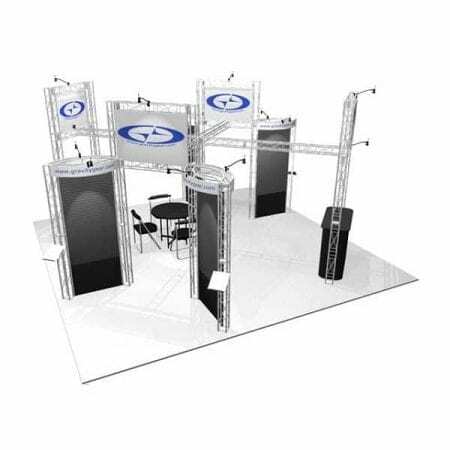 Be BOLD with the INDUSTRIAL LOOK of a truss system delivered and set up in your space, awaiting your arrival. 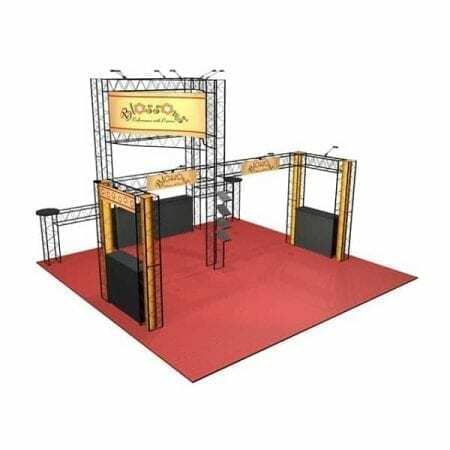 Customers who want to display many items/products will love the TRUSS for its merchandising accessories (slat wall, hooks and more). 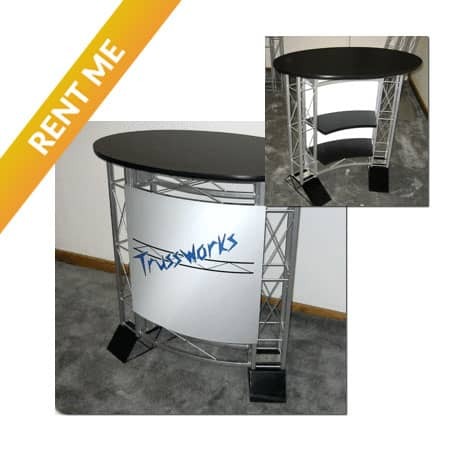 Black fabric base w/ 19″ x 46″ black laminate top. 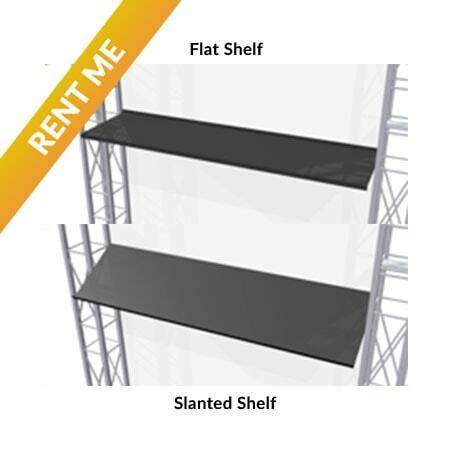 Heavy duty internal shelf for plenty of storage. 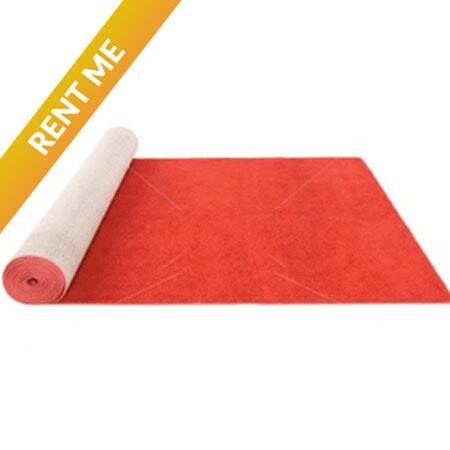 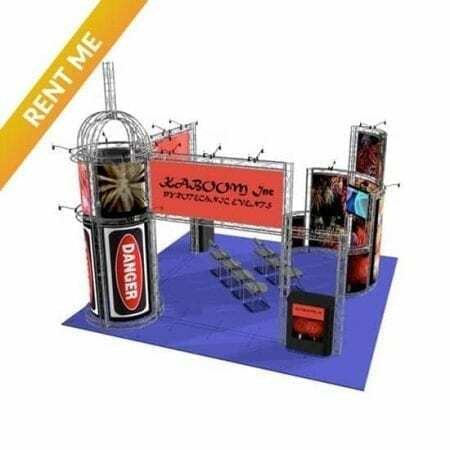 $30 turnkey rental price. 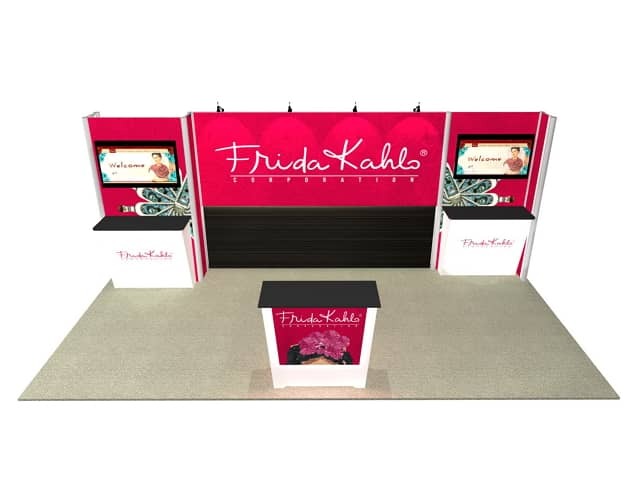 Black laminate on 3/4″ MDF. 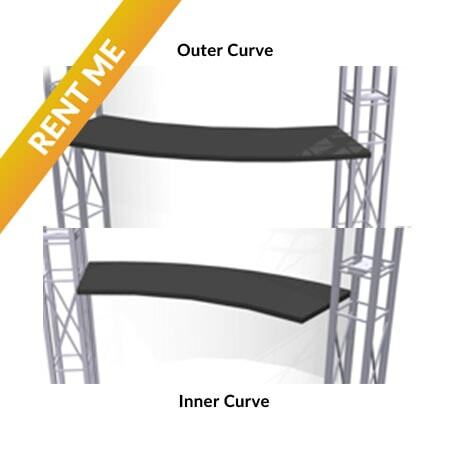 Choose from and inner or outer curve. 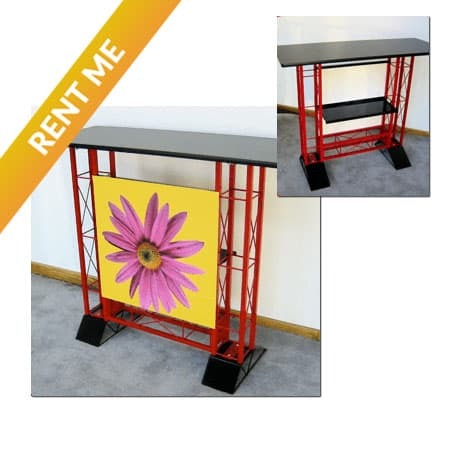 Holds up to 80 lbs. 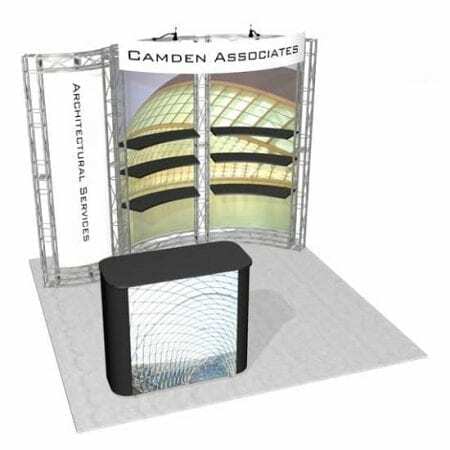 Silver truss with 19″ x 46″ black laminate top. 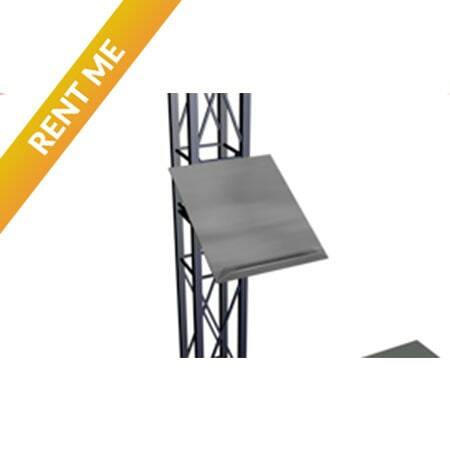 Aluminum internal shelf. 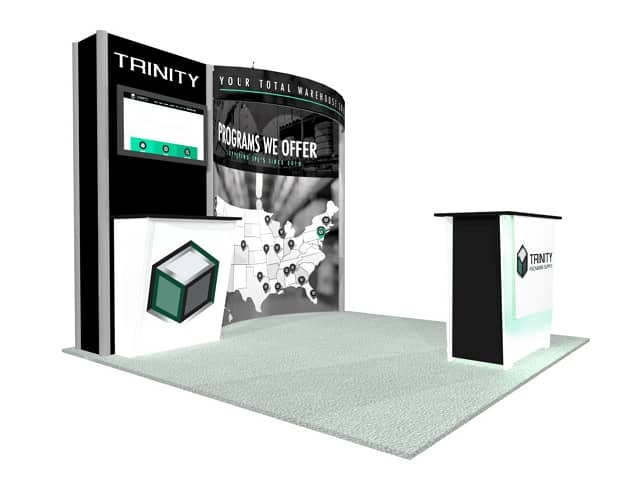 Silver truss with 19″ x 46″ black laminate top. 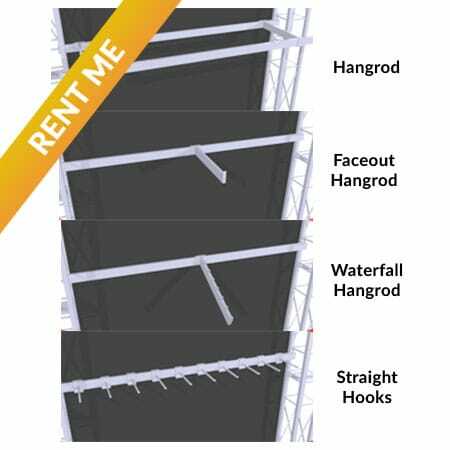 Aluminum internal shelf. 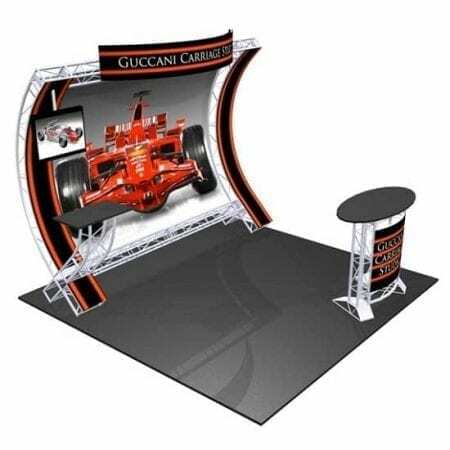 Includes magnetically applied front graphic. 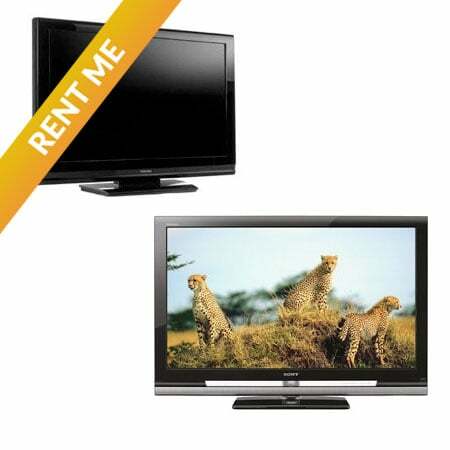 12″W X 23″, 34.5″ or 46″L. 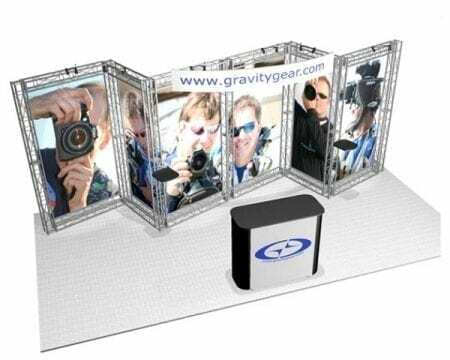 Heavy duty powder-coated aluminum. 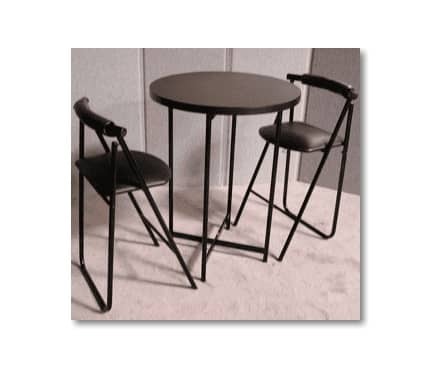 Holds up to 200 lbs. 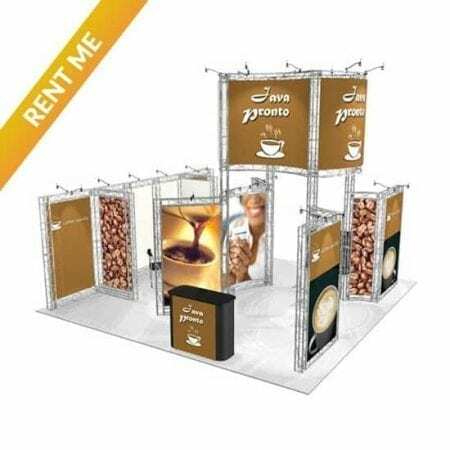 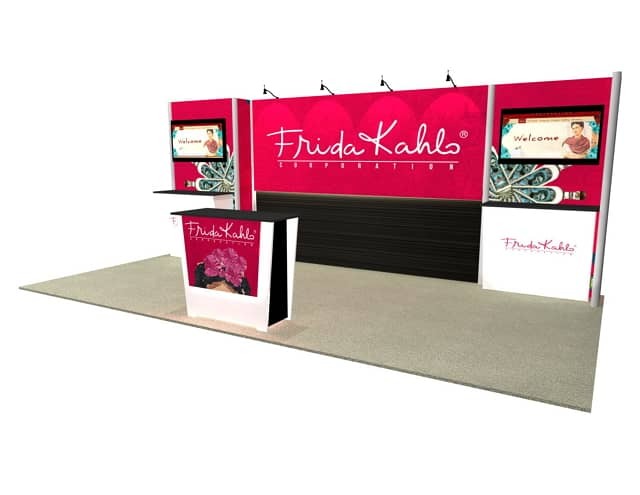 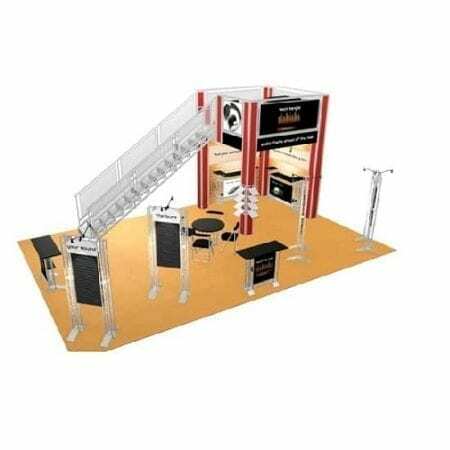 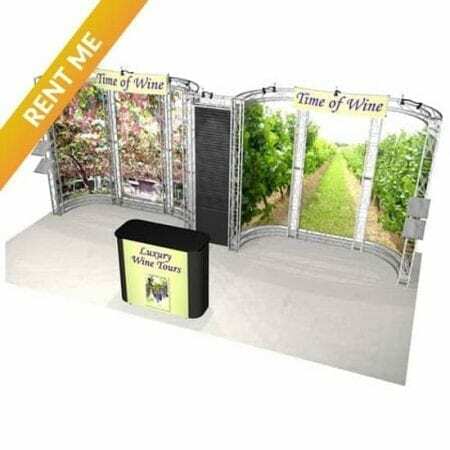 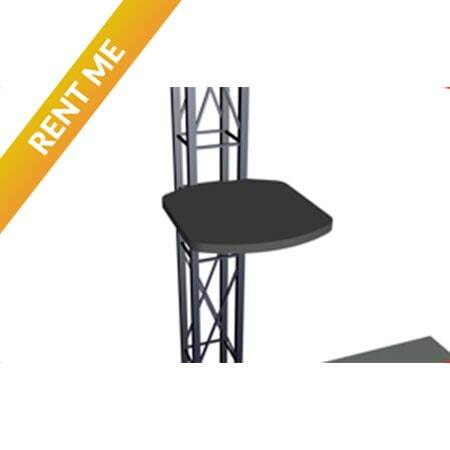 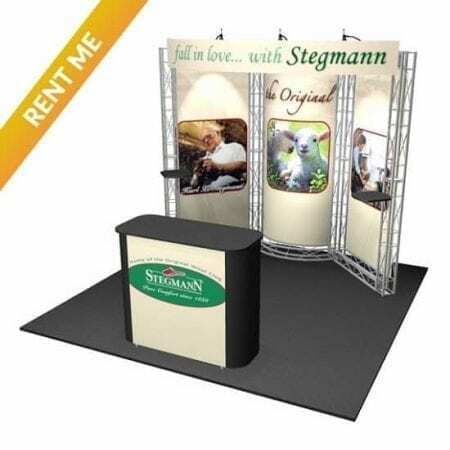 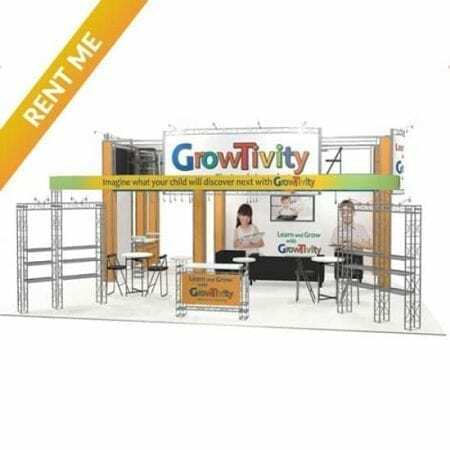 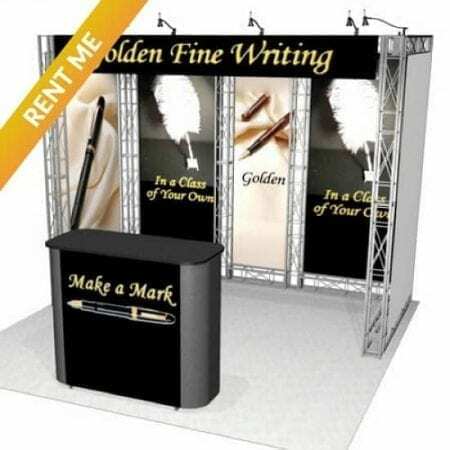 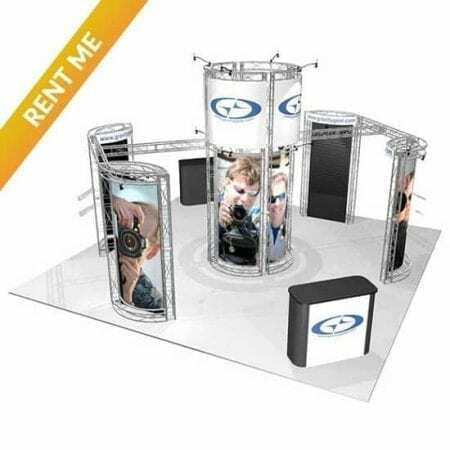 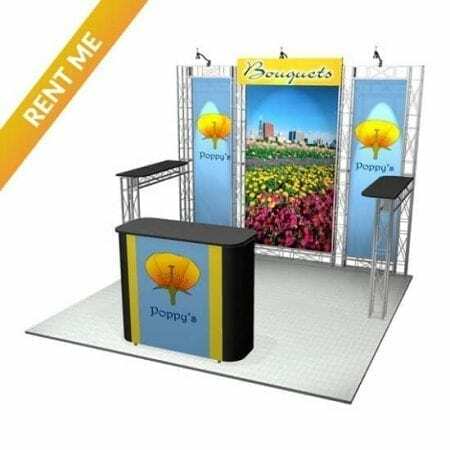 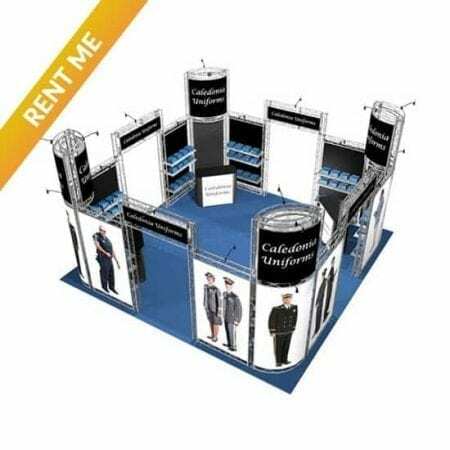 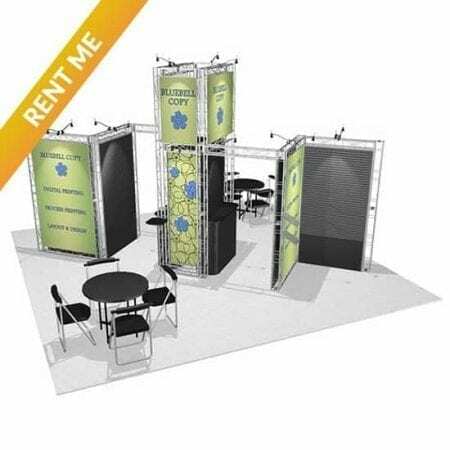 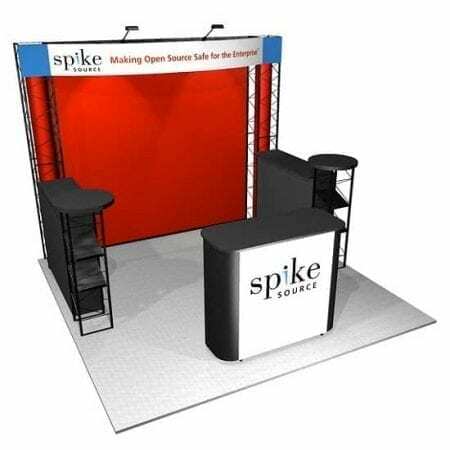 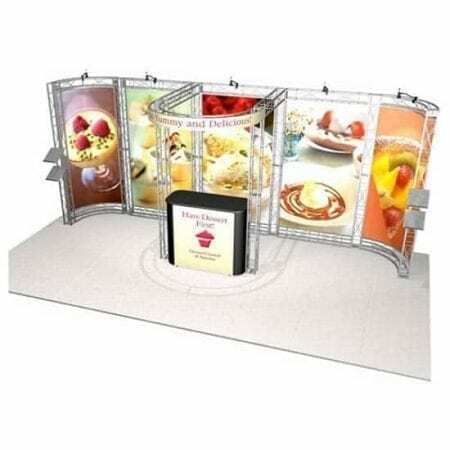 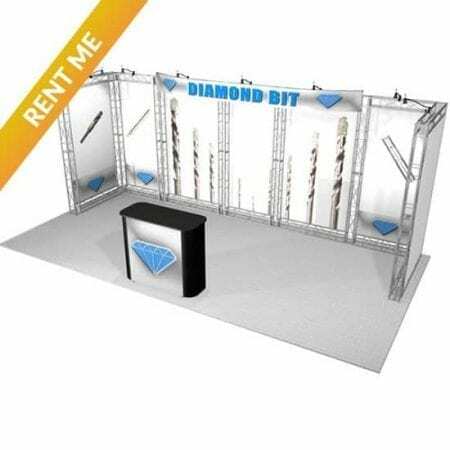 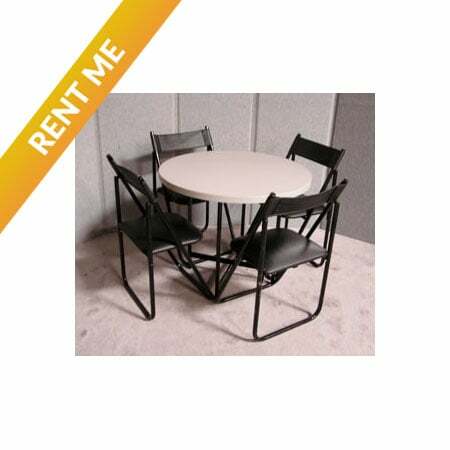 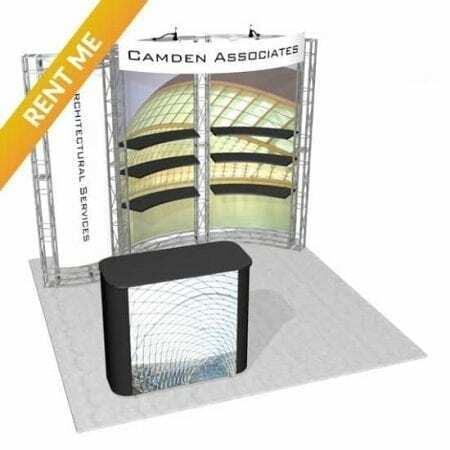 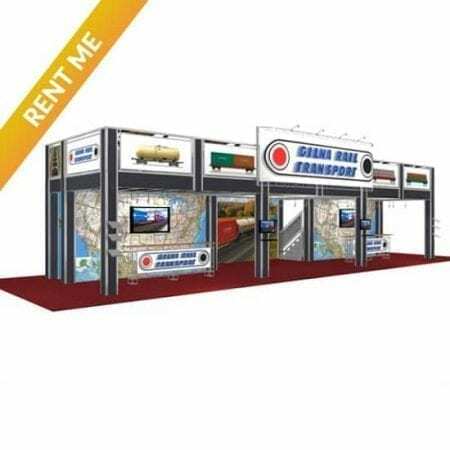 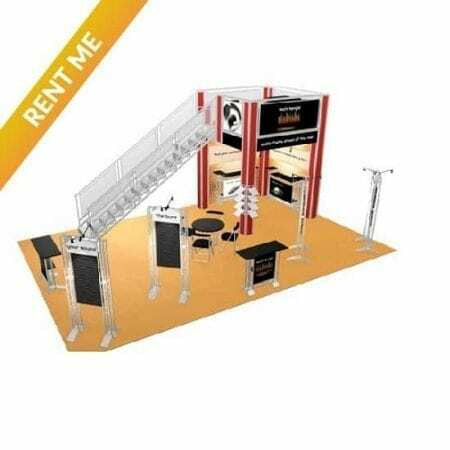 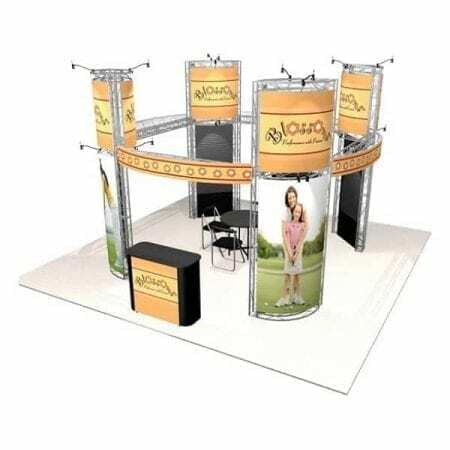 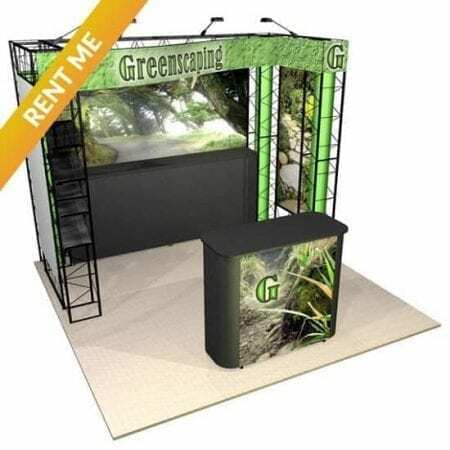 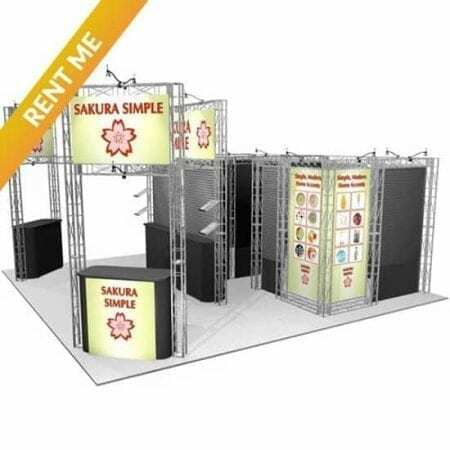 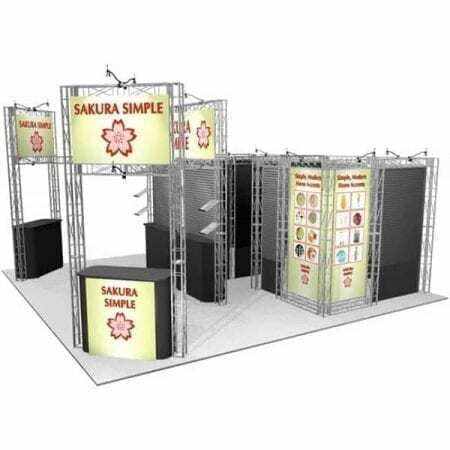 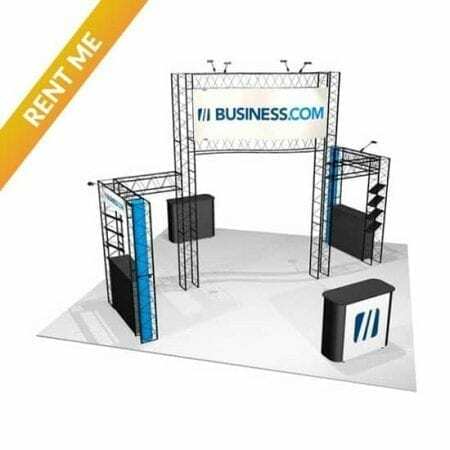 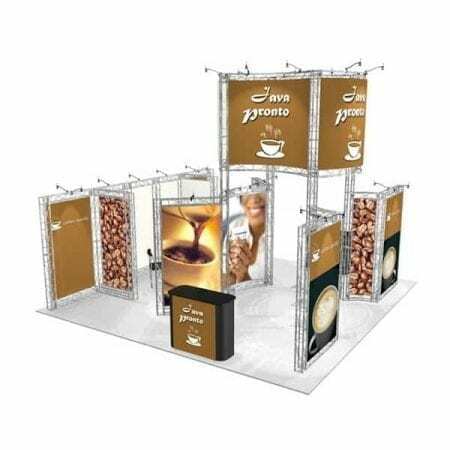 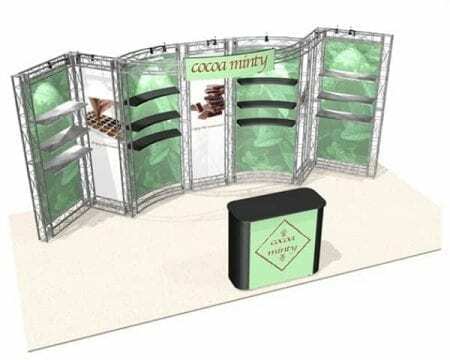 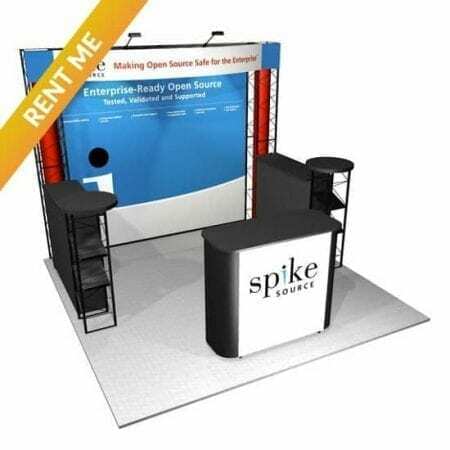 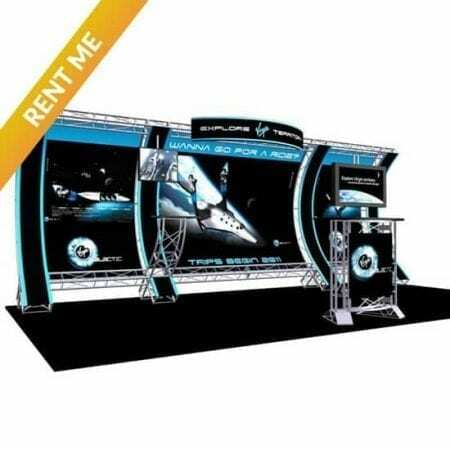 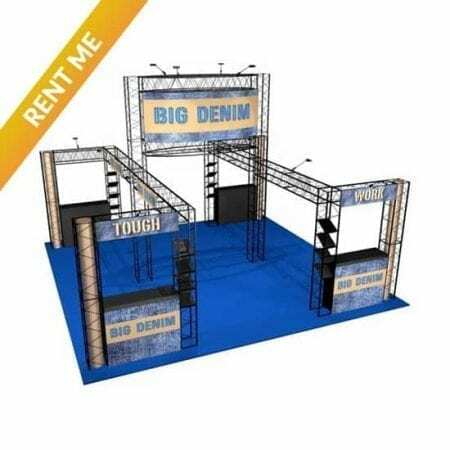 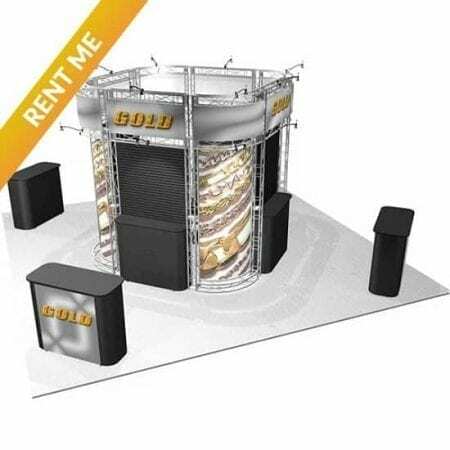 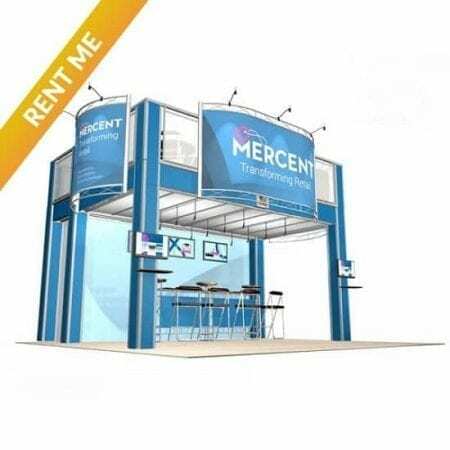 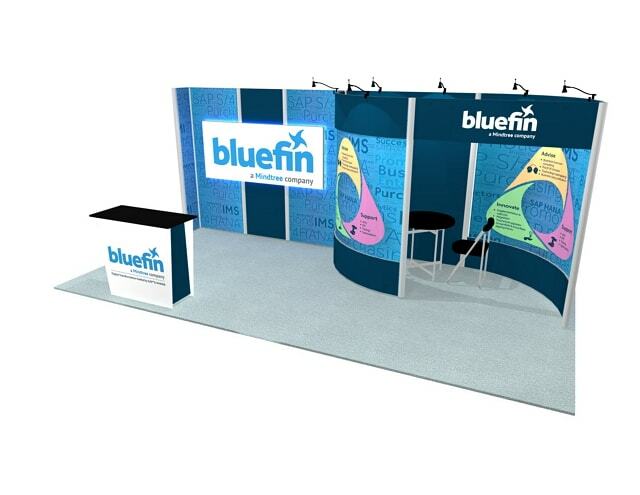 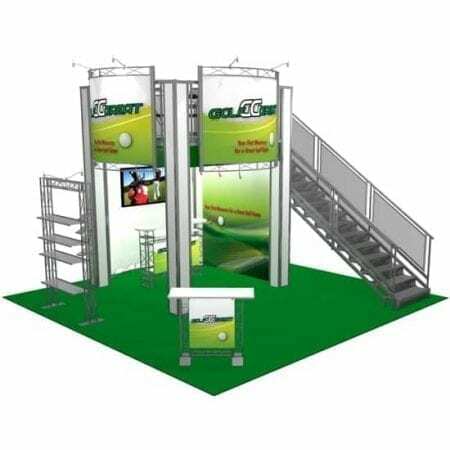 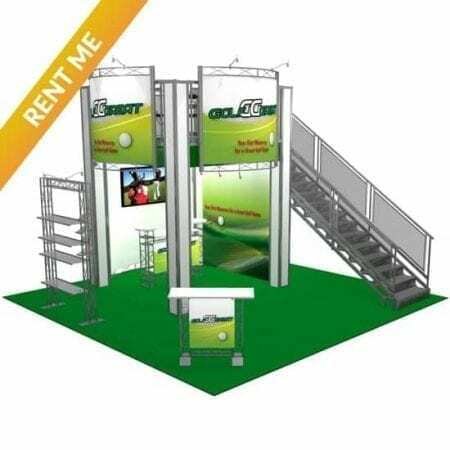 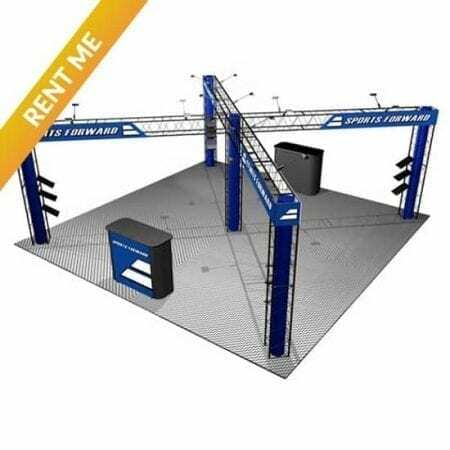 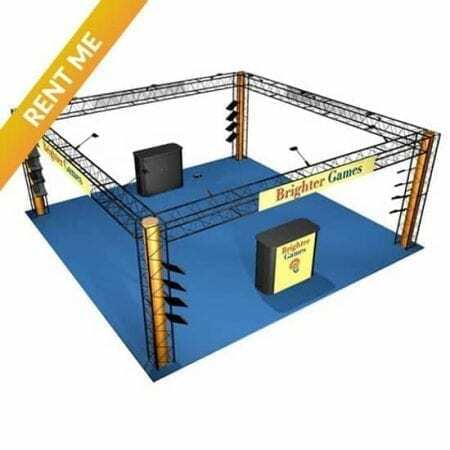 Double your REAL-ESTATE space with our Affordable Turnkey Rentals for exhibit spaces 20′ x 20′ and larger. 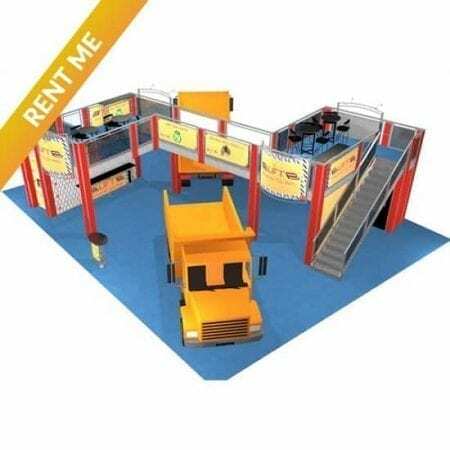 Save on drayage when ordering basics such as flooring, TVs, tables… Many more options are available. 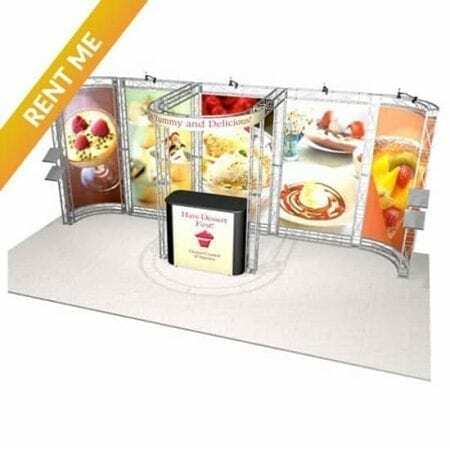 Price starts at $450 incl. cable and monitor mount.